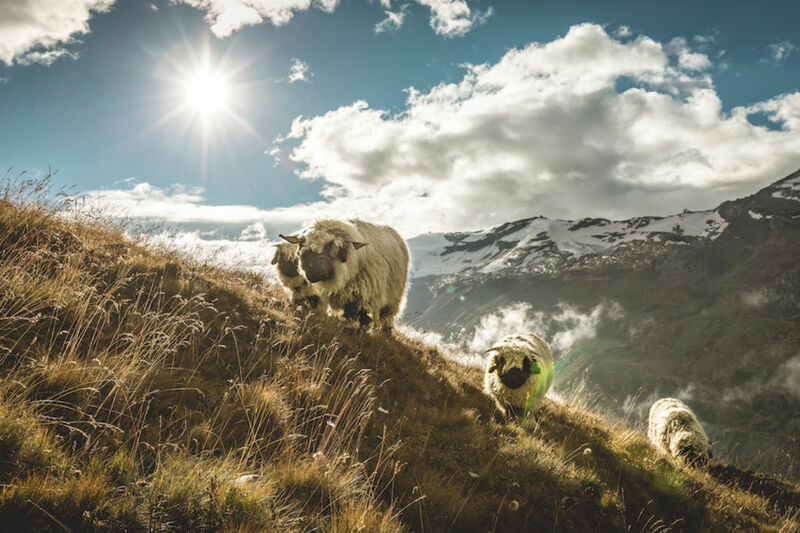 Europe’s highest mountain range — spanning a whopping 750 miles — naturally holds every kind of adventure one could possibly think of. 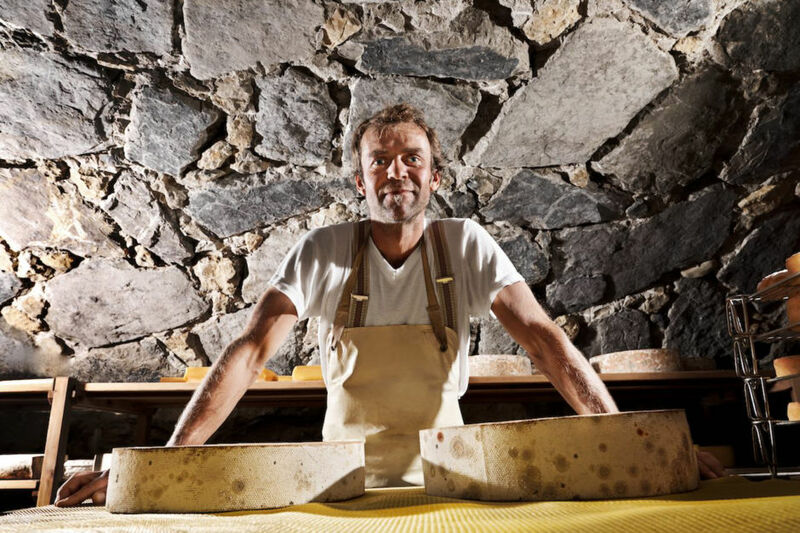 The Alpine valleys of Germany, Austria, and Switzerland still hide idyllic villages where cheesemaking and woodworking reign supreme. 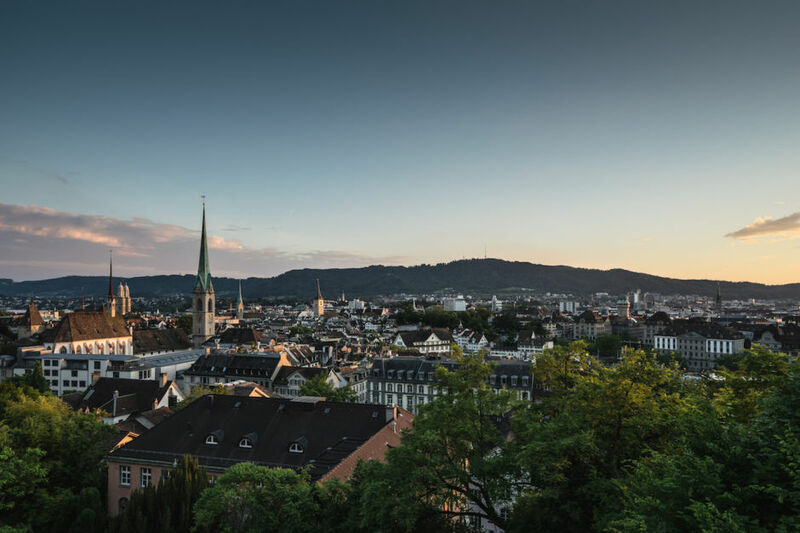 Bustling cities like Zurich, Salzburg, and Munich mean world-class experiences at the foot of Mother Nature’s best work of European art. 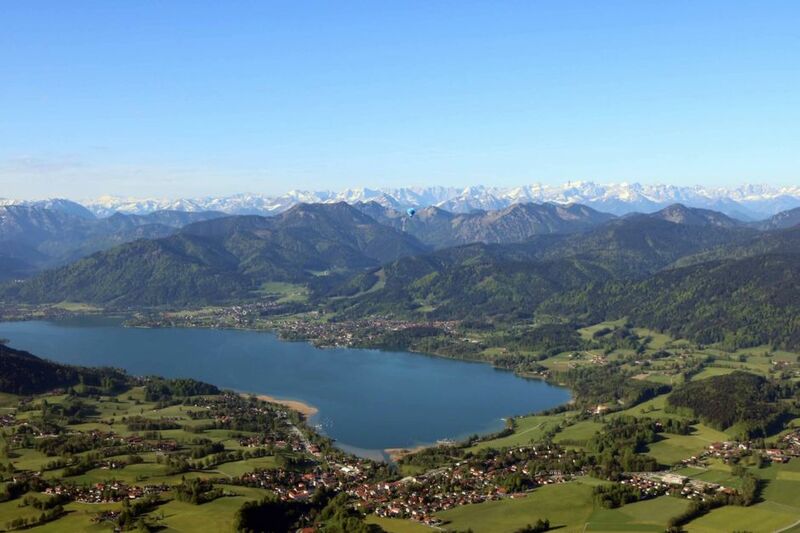 But keep in mind that a trip to the Alps is all about who you are. 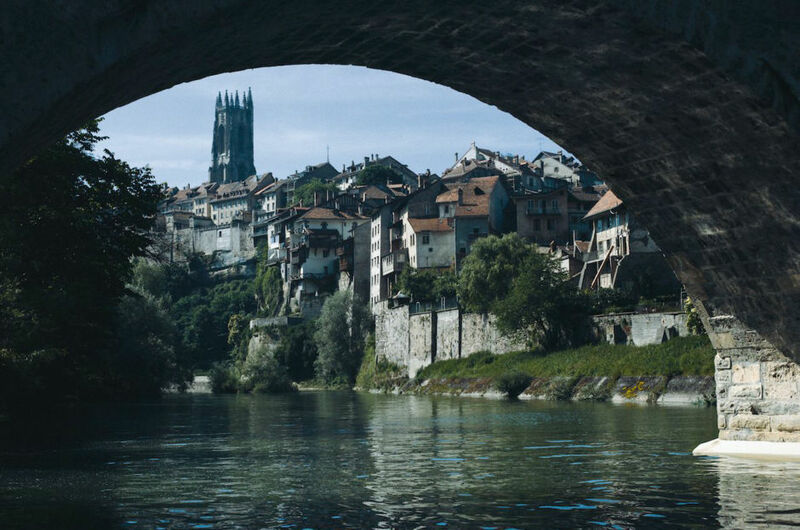 These mountains, villages, and cities can hold whatever you want them to hold — which itinerary will you choose? 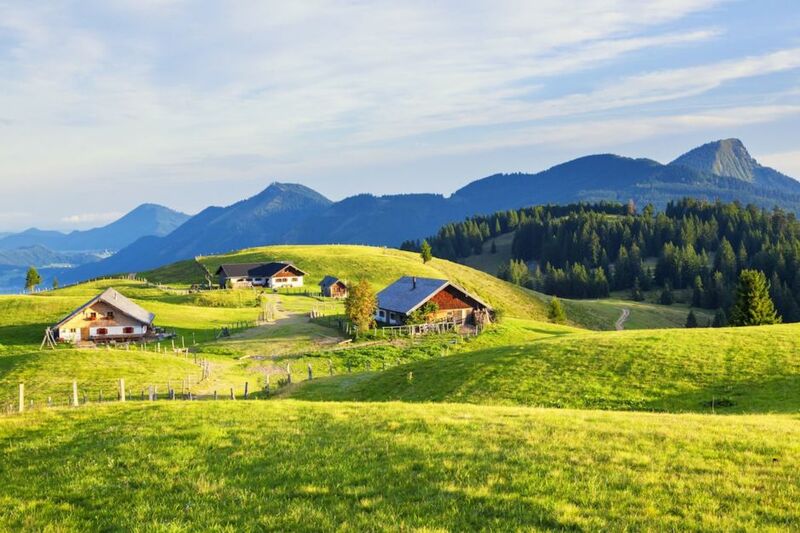 Touch down in any buzzing Alpine city and you’ll be surrounded by snowcapped Alps, teeny villages, and bucolic landscapes spreading out into the horizon. This is two very different worlds in one magnificent trip. 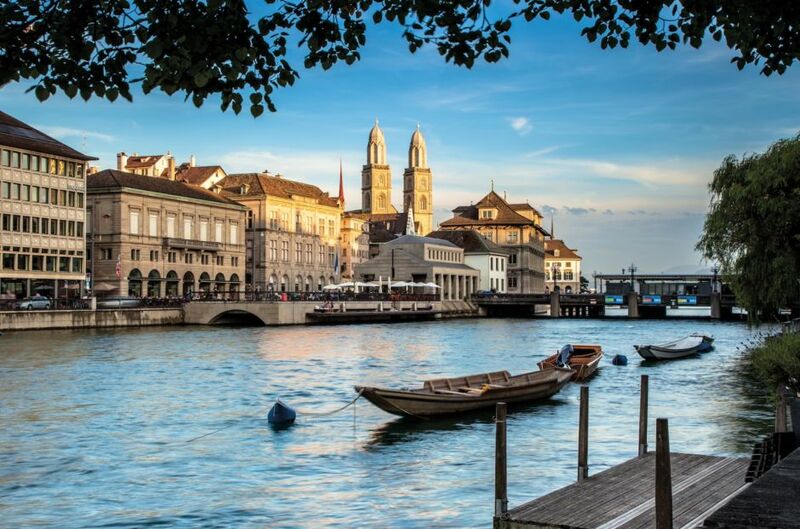 Start off in Zurich’s car-free old town, walking the Limmatpromenade, and staying up till morning taking in the city’s world-class nightlife. 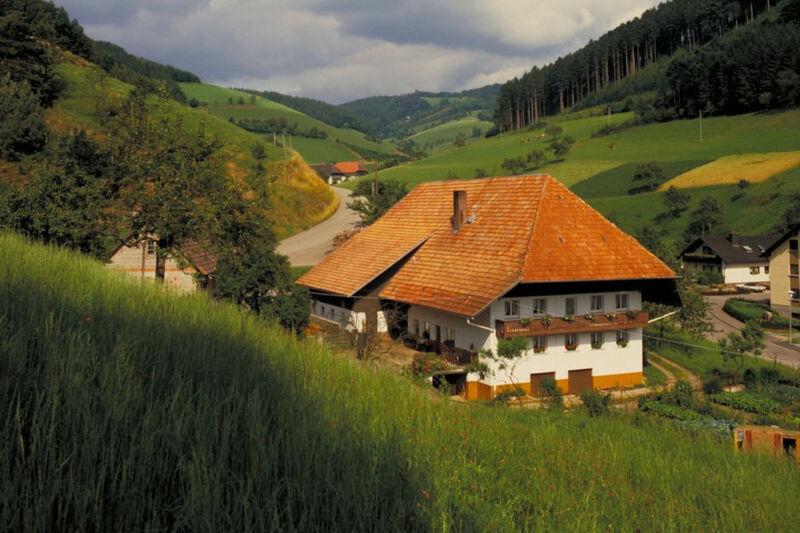 Relish the music, because soon you’ll be in quiet Bregenzerwald, Austria. 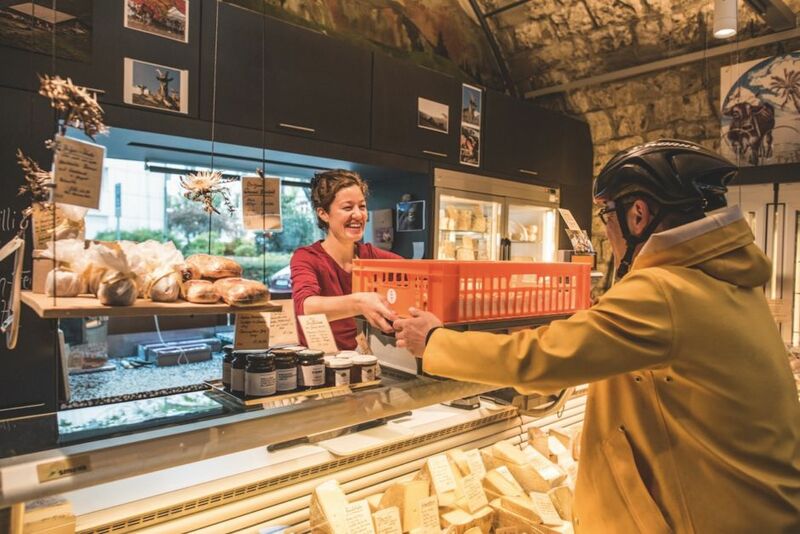 Twelve villages make up this portal back into a simpler time, and centuries-old farmhouses and cheesemakers set the pace. Going on foot is the best way to soak in the long-lost architecture and serenity of this almost-off-the-map spot. 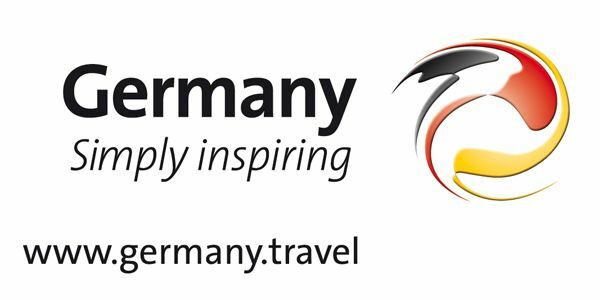 Alternatively, make a beeline straight for Germany, where you can contemplate the silence filling the depths of Schwarzwald, or the Black Forest. 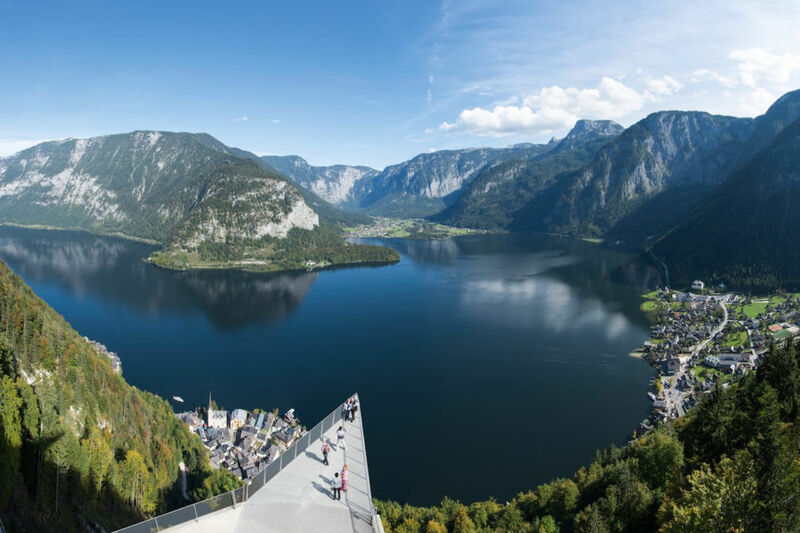 And yet you’re still not far from 3-star Michelin restaurants and water-filled adventures — Lake Titisee, the largest lake in this untamed wilderness, is right here, too (be sure to dip your toes). 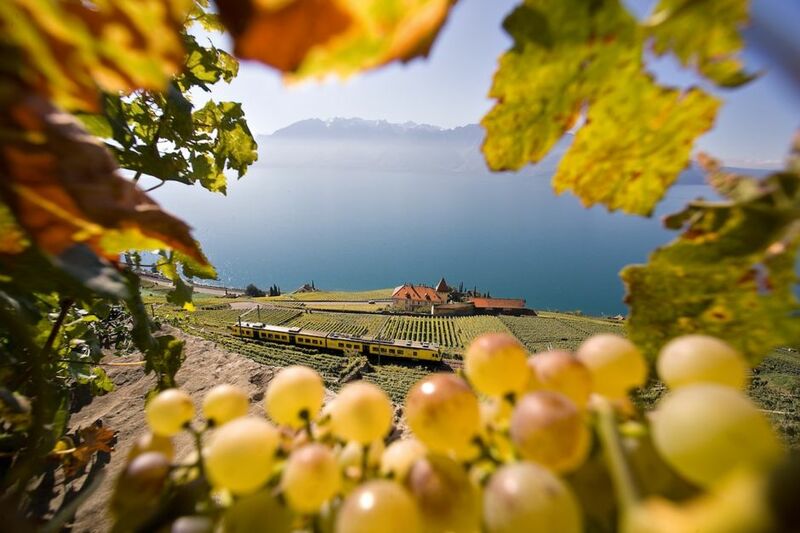 The Alps aren’t meant to only be enjoyed from the bottom. But if this is your itinerary, odds are you already know that. 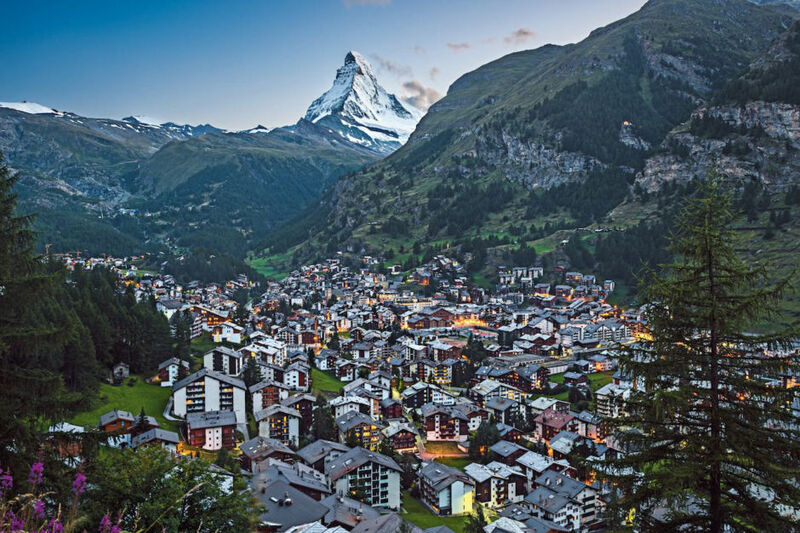 First up — Zermatt. 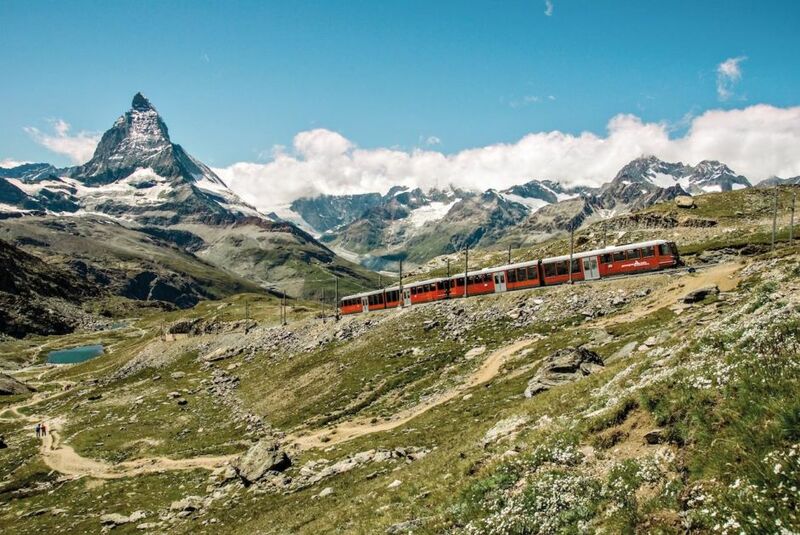 The city lies at the foot of the most iconic Alpine mountain, the Matterhorn, and it’s entirely car-free save for the cable car you can take to the highest mountain station. 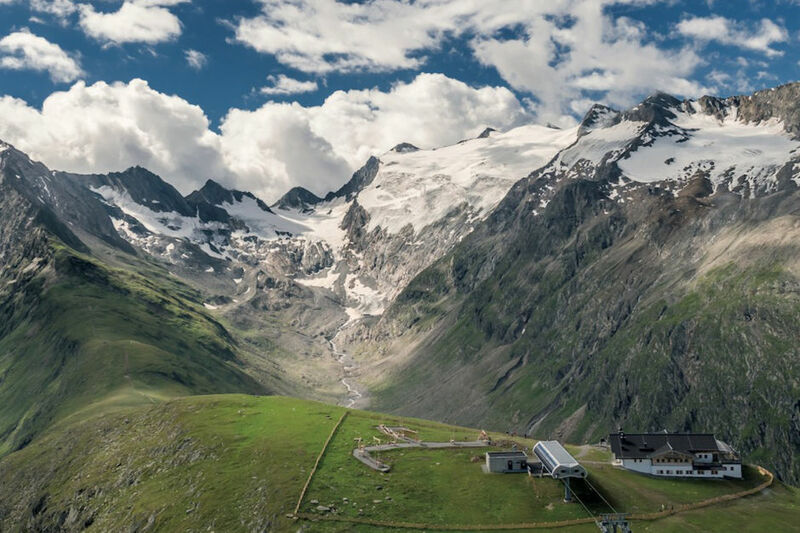 Take a breather at Zumstein’s farm in Gstaad to fuel up for your next feat: the Wildspitze glacier in Ötztal, Austria (a 12,369-foot peak piercing the sky). And as you depart for the next leg of your journey, look around you. 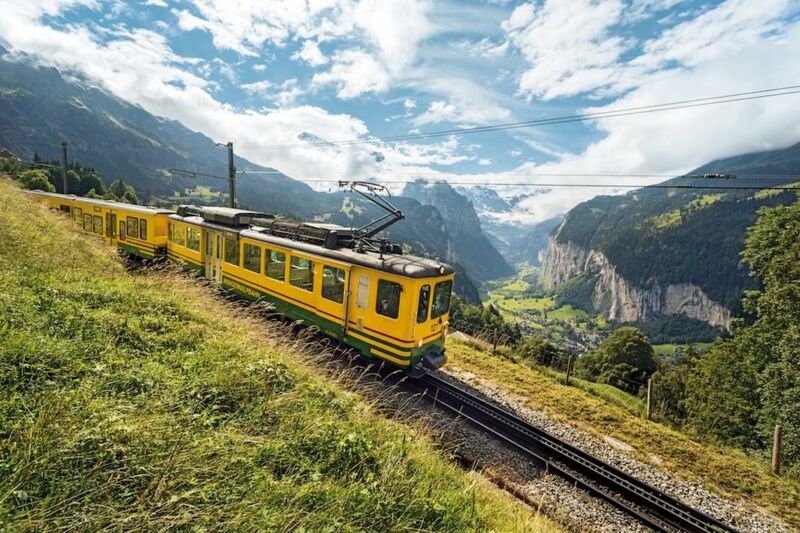 You won’t want to miss the Jungfrau Region and the famous Eiger mountain. 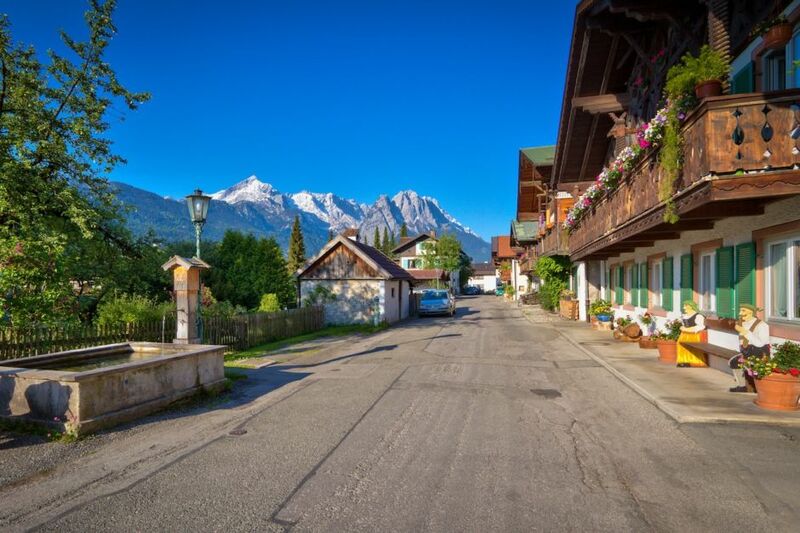 Now, it’s time to head to Garmisch-Partenkirchen to summit the Zugspitze, Germany’s highest mountain. 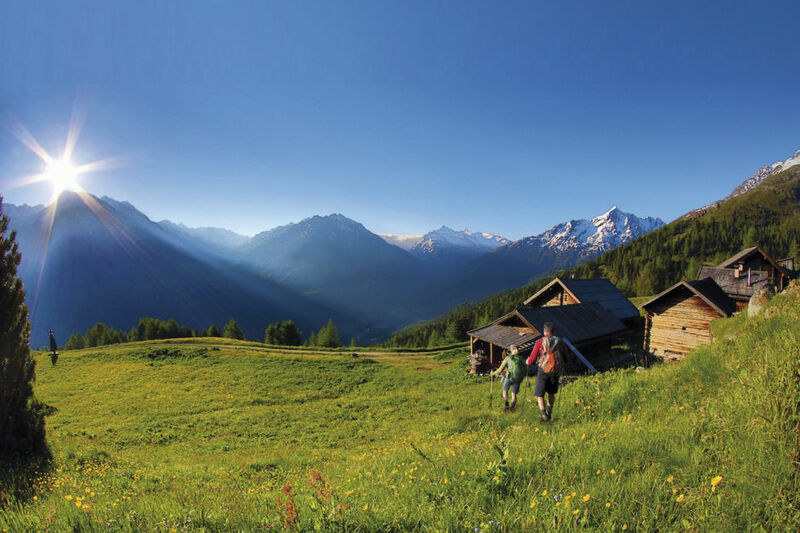 Or stay in Austria to visit National Park Hohe Tauern — there are over 200 peaks around 10,000 feet, but the Großglockner stands guard over them all at 12,461. 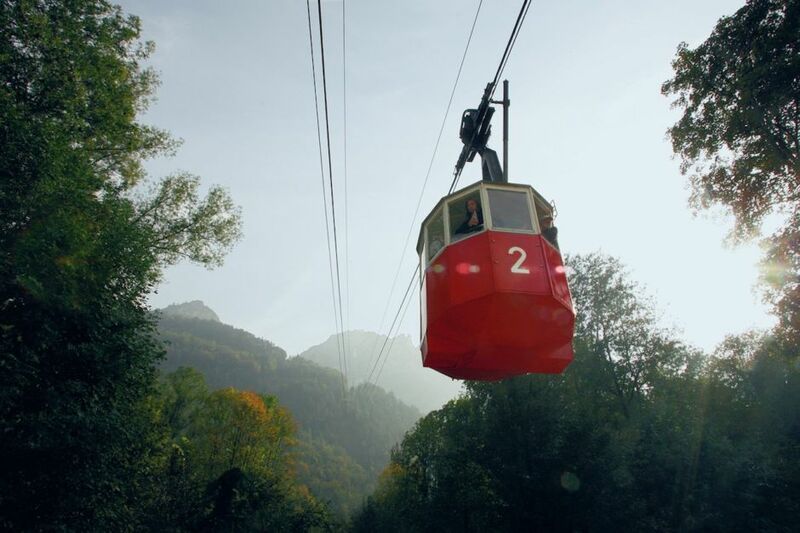 Finishing up in Berchtesgaden, Germany, take it easy on a ride up the Predigtstuhlbahn — the world’s oldest cable car — to be lifted a mile in just eight minutes. 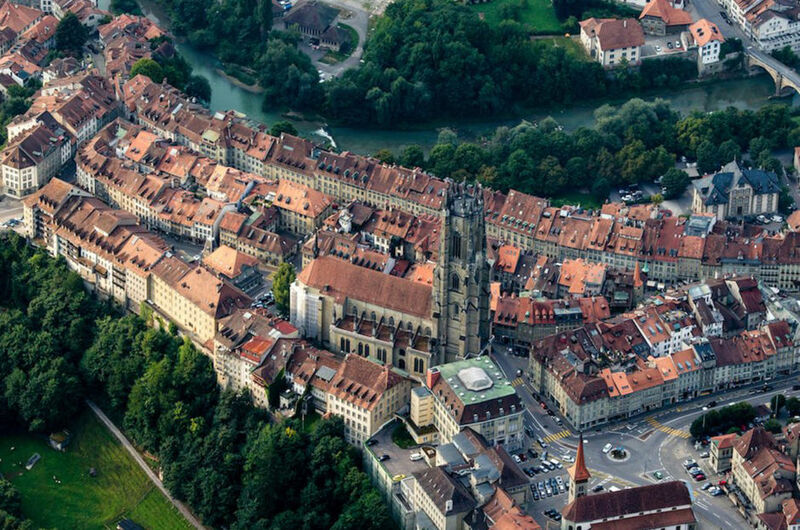 Move over Paris, London, and Rome — some of Europe’s best cities are hiding in the Alps. 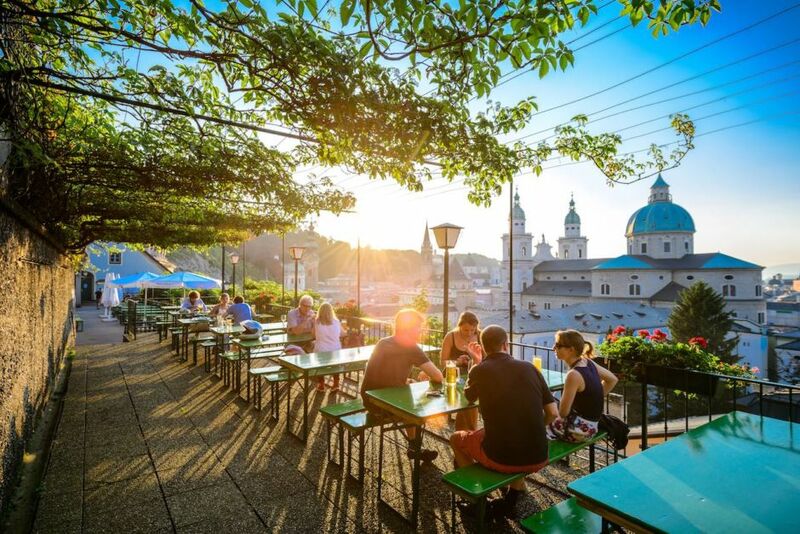 Start off in Munich however you want — beer gardens, restaurants tucked into cobbled alleyways, open-air markets — but end with a climb up 299 stairs to the top of the Church of St. Peter, taking in the views of the Alps in the not-so-distance. 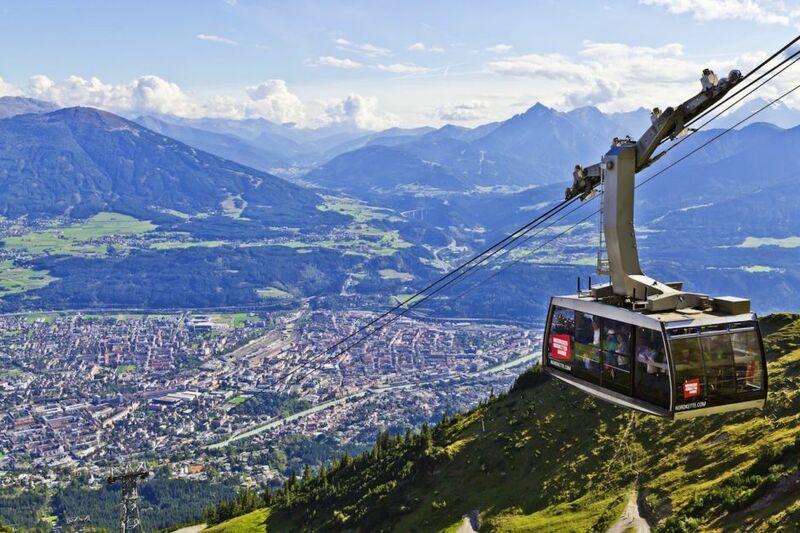 Then it’s off to either Innsbruck or Salzburg. 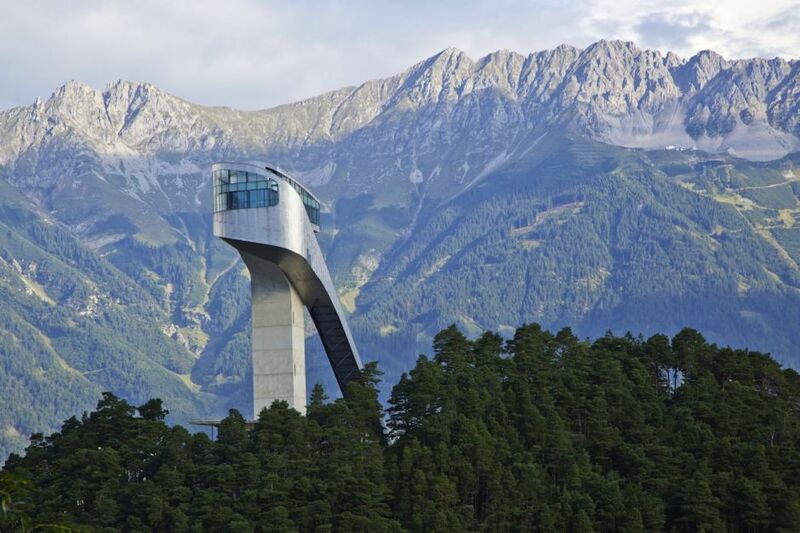 The former, Innsbruck, is where you can go to recharge in the mountain air. 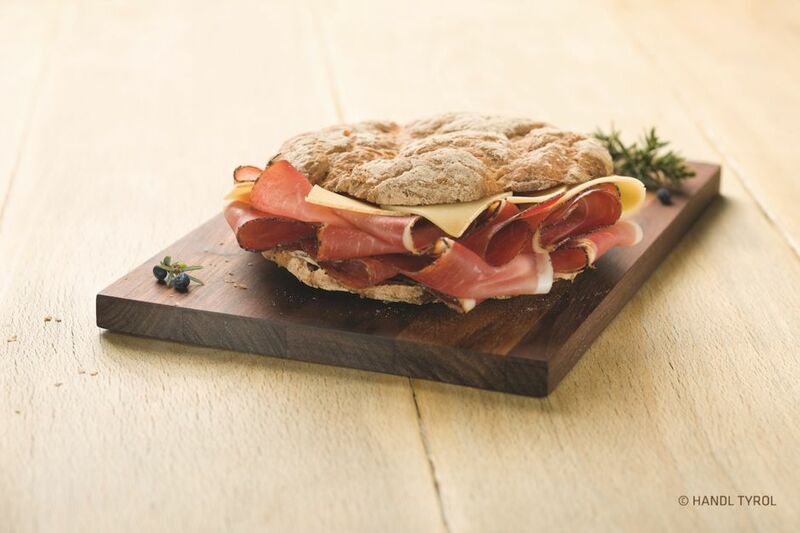 Take in the views from the mountains on the cable car and be sure to celebrate the day with nothing other than Tirolean smoked bacon. 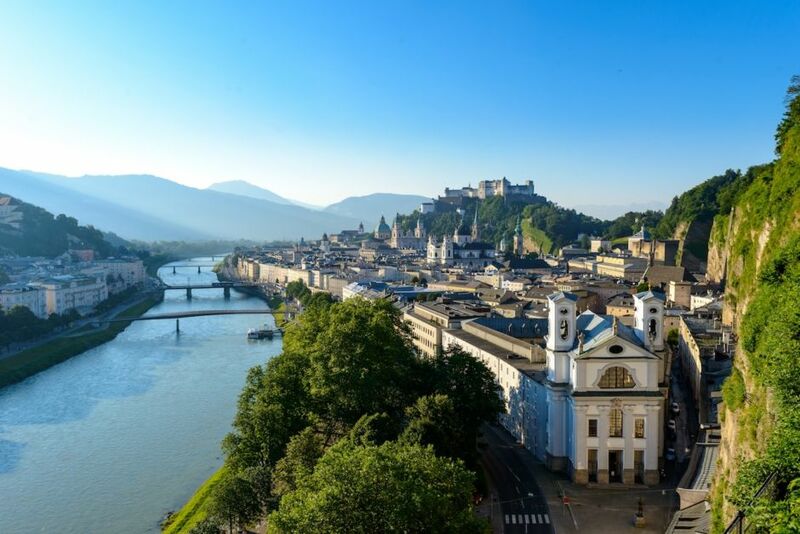 The latter, Salzburg, is a UNESCO World Heritage Site masquerading as a city, where every corner is steeped in history (and nowhere is that more obvious than wandering the fortress overlooking the Baroque town). 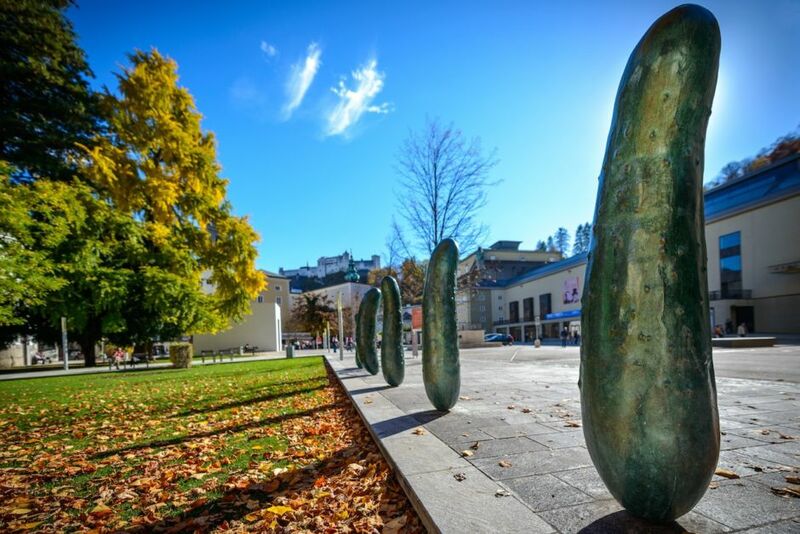 Grab a Fürst Mozartkugeln — a ball of pistachio cream encased in nougat and a chocolate shell — before heading to the Walk of Modern Art, escorting you right back to present day. 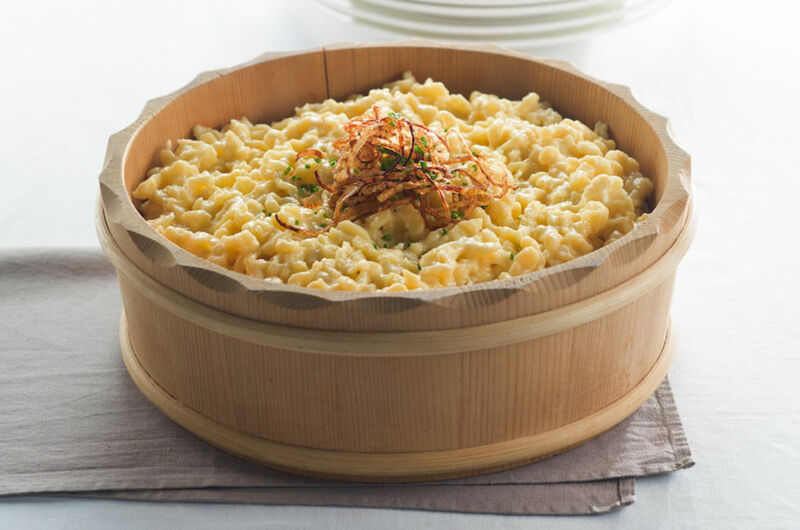 Prepare to taste your way through the Alps. 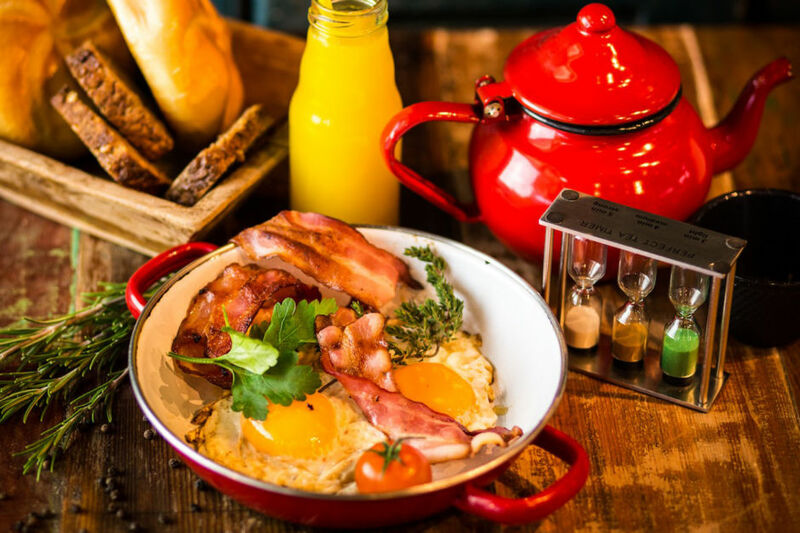 This five-day culinary adventure will have you jetting between white-napkin, five-star dinners and spreads lining the farm table. 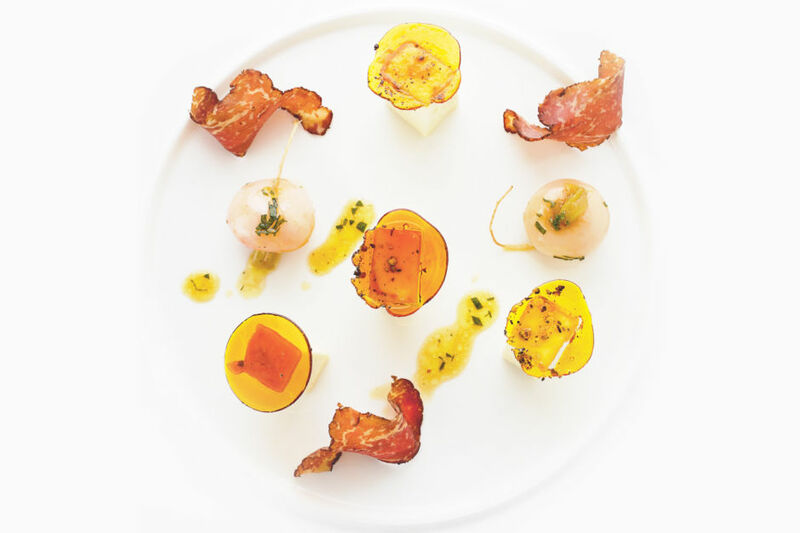 If you’ve packed your cocktail attire, splurge for Zurich’s Parkhuus Restaurant, and note their 14 Gault Millau points. 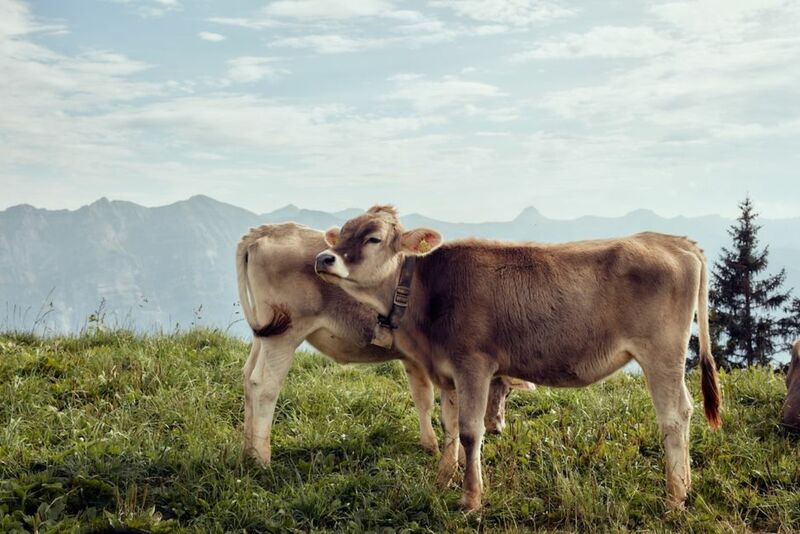 Or break out the camera in Appenzell at the Berggasthaus Äscher restaurant — the restaurant’s façade clings to the vertical cliffside. 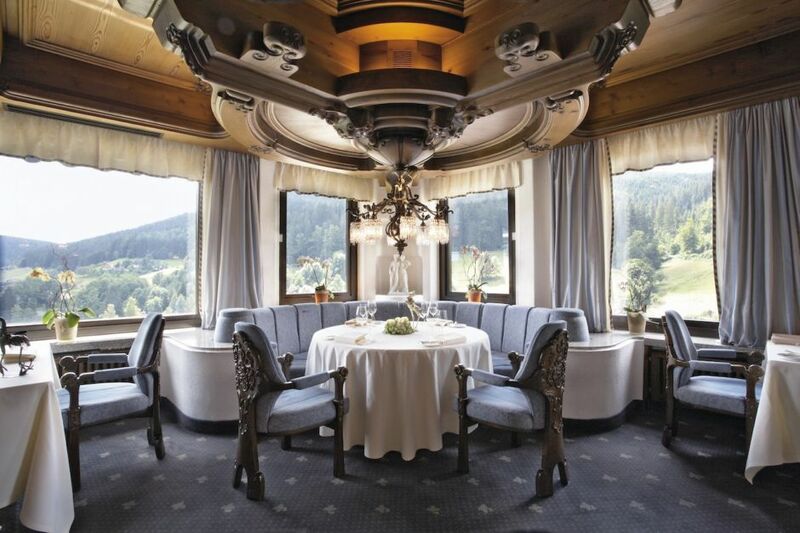 Two and a half hours later, you’re in the valley resort town of Garmisch-Partenkirchen for dinner under a glass dome at the top of the Zugspitze, nearly 10,000 feet in the air. 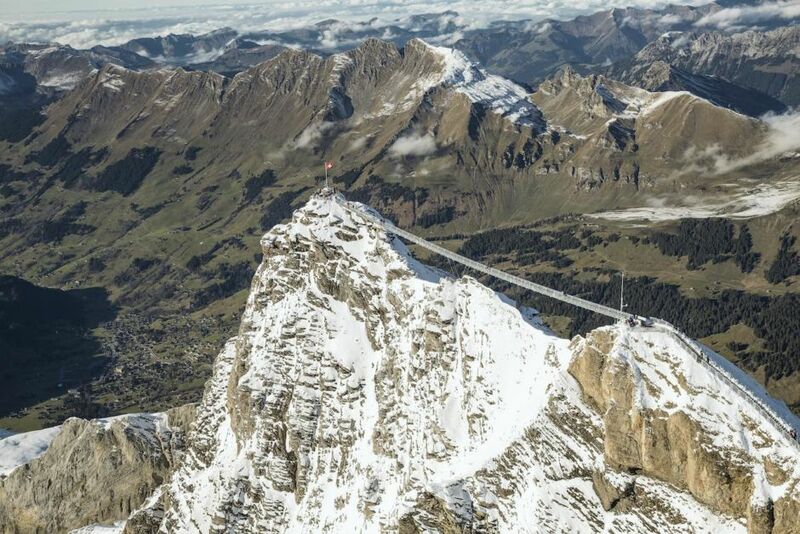 Of course, you can hike and ski while up there, too. 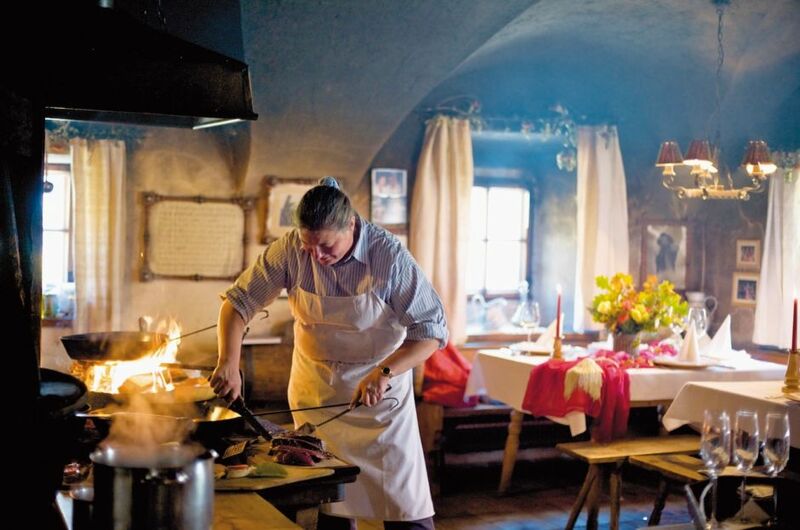 In Salzburgerland, Restaurant Obauer will fill you with the sights, sounds, and smells percolating at the foot of Hochkönig Mountain. 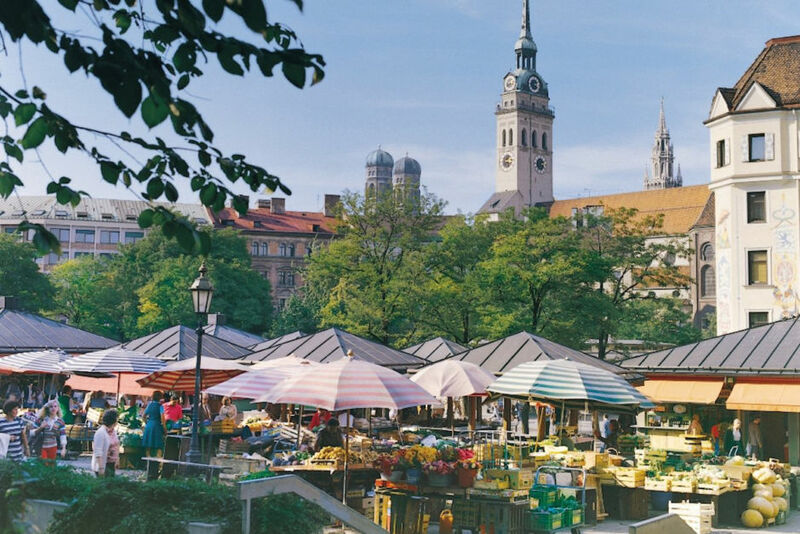 And finally, in Regensburg, go all the way back to the 8th century, cruising to Weltenburg Abbey — one of the oldest monasteries in the world — and sacrificing a moment to indulge at their world-renowned brewery. 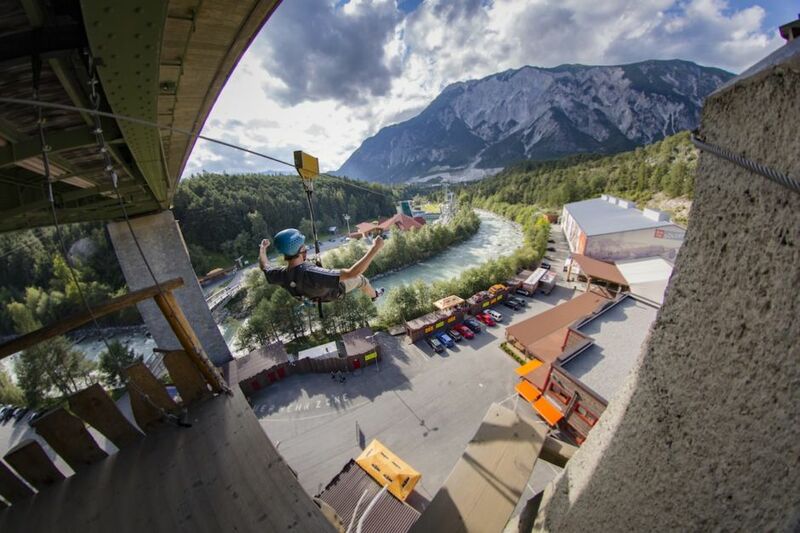 One epic weekend is all it takes to bounce through the Alps’ capital cities. 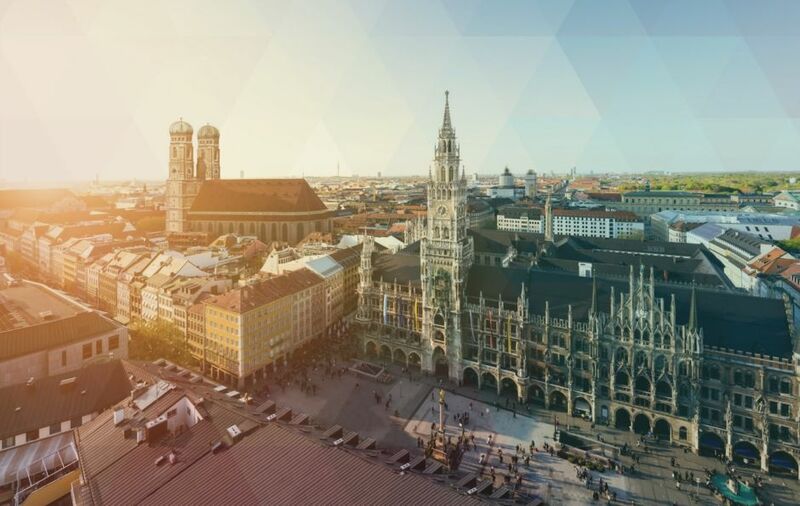 Munich, Innsbruck, and Zurich are ripe with some of Europe’s best cultural offerings, each a gateway to both world-class urban experiences and those Alpine breezes. 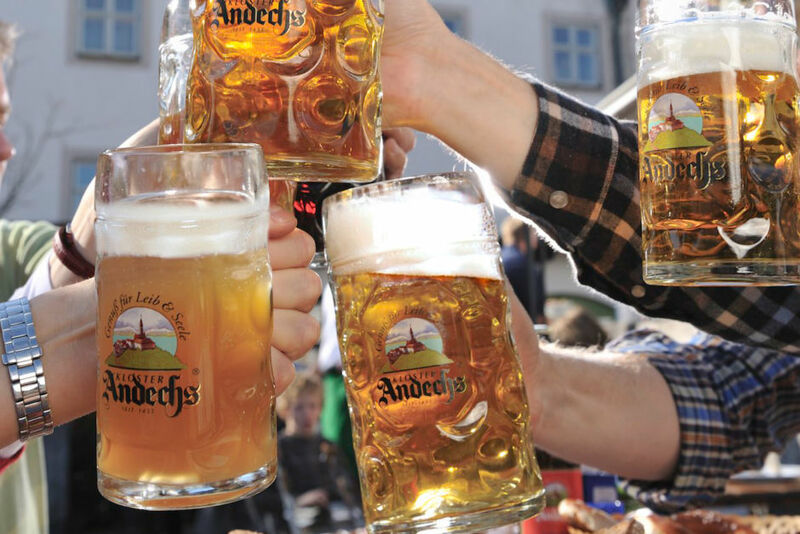 Beginning in Munich, a capital city that still has a firm grip on its charm and traditions, choose between the Bavarian State Opera, the National Theater, or any of the city’s world-class museums, and top it off by hiking to the Monastery of Andechs for a sampling of world-famous Bavarian beer — crafted by Benedictine monks. 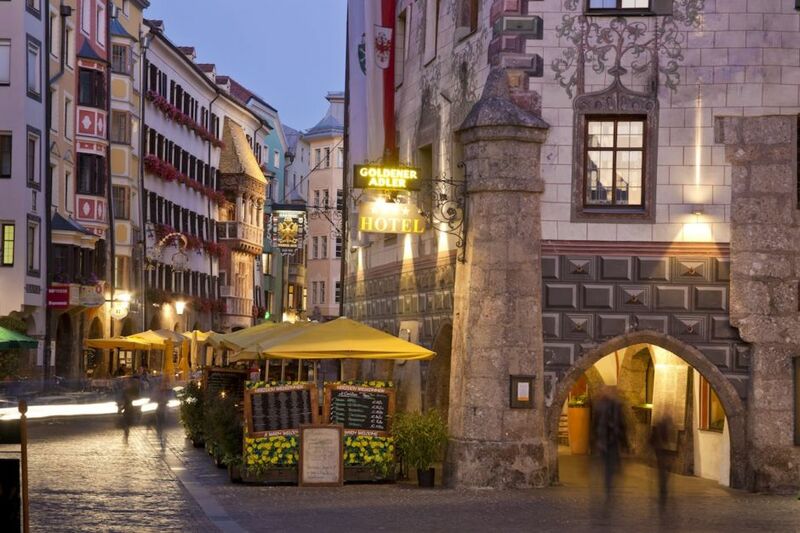 In Innsbruck, “the Capital of the Alps,” grab some suds at the Hofgarten, position your chair to take in the three mountain ranges towering above, and score a quick peek at the lights surrounding nearby Ambras Castle. 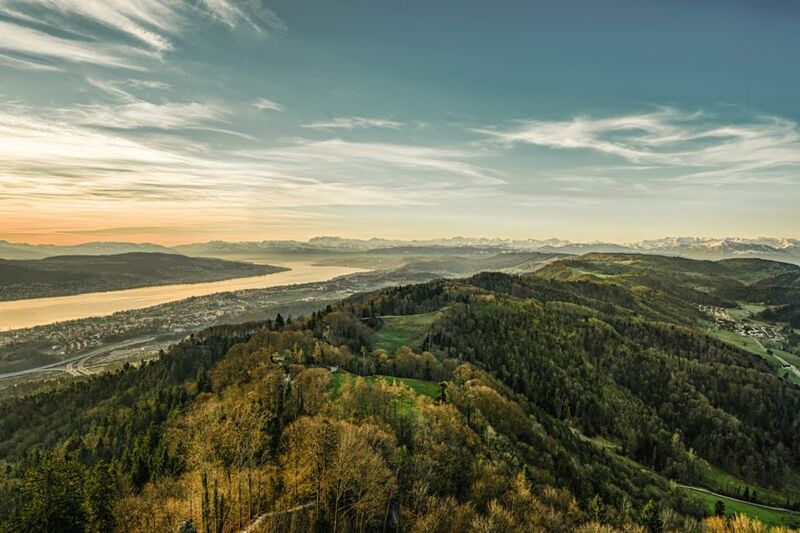 Then in Zurich, hike up the Uetliberg mountain, working up an appetite for the city’s signature dish, Zürcher Geschnetzeltes — well-deserved after the climb. Rich tones, minimalist style, heavy on the pine and the wool — what you see in the magazines isn’t fabricated. 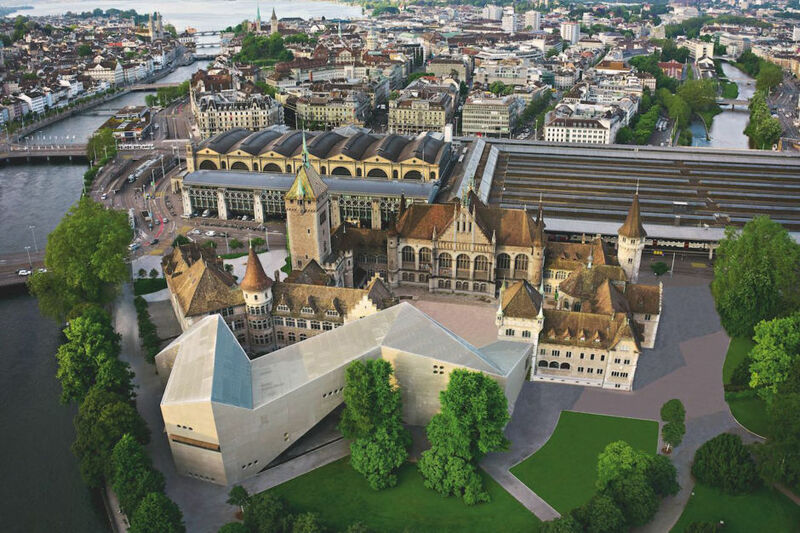 You’ll step into the pages of this itinerary by watching local craftspeople at work, wandering through art galleries, and resting your head underneath contemporary Alpine architecture. 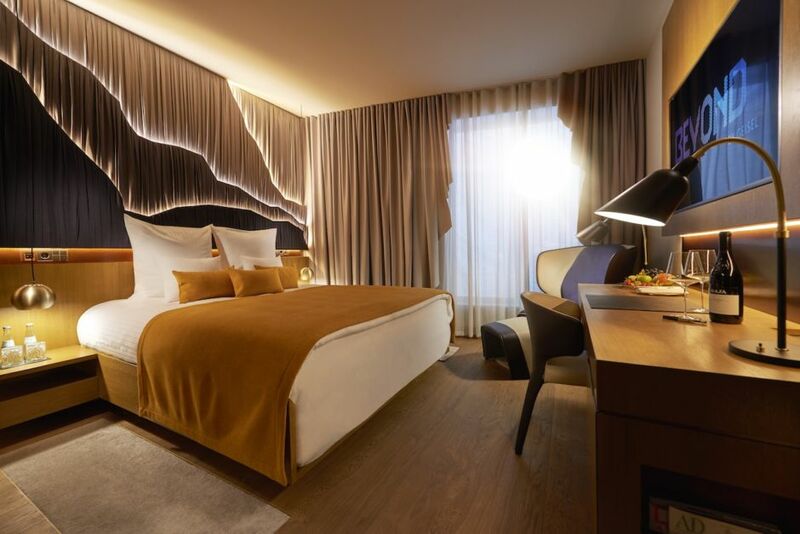 Book a room at Geisel’s Beyond Munich, and spend a moment looking through the huge windows onto the Marienplatz. 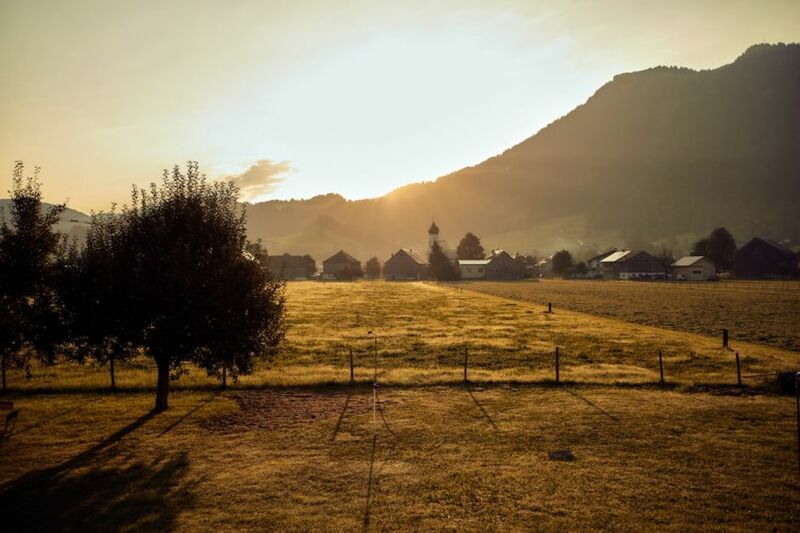 When morning arrives, jet off to Tegernsee — a small, ancient city with as many festivals as farms — for a hot air balloon ride over one of the most beautiful places on our planet. 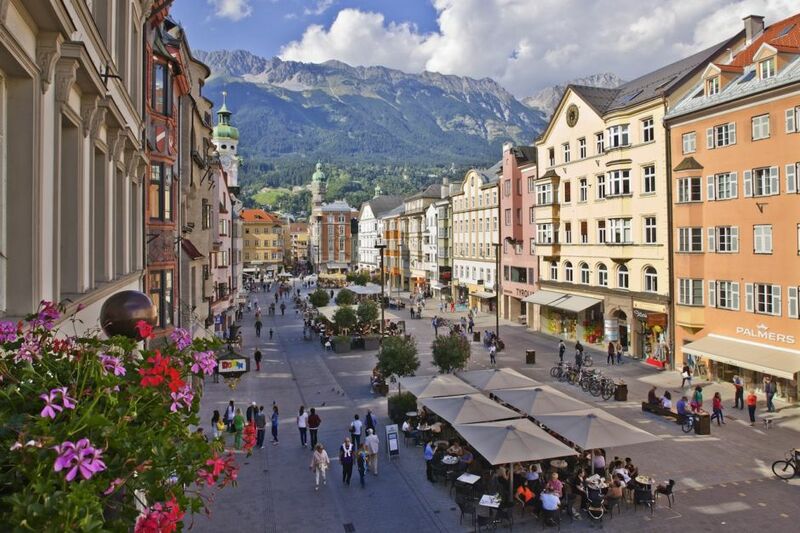 Innsbruck is worth simply milling about, taking in the architecture that dates back to the Middle Ages in their unparalleled Old Town. 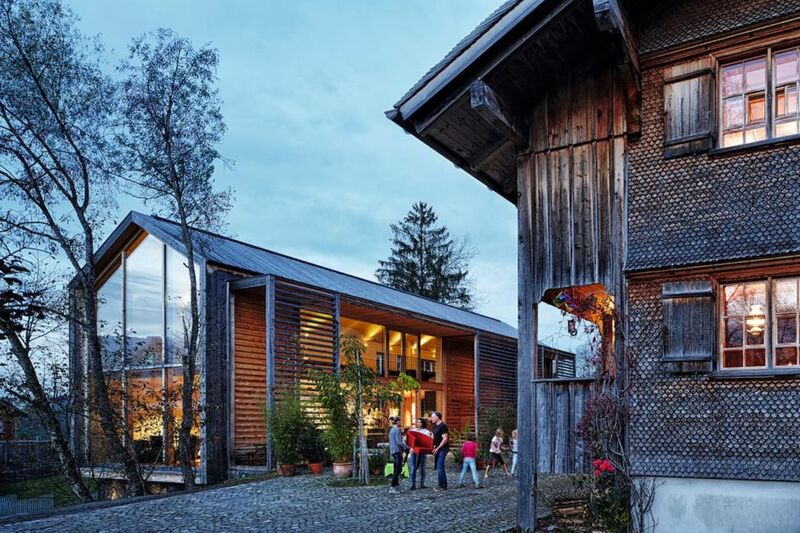 In Bregenzerwald — famous for its timber industry — stop by Werkraum, an innovative museum and workspace dedicated to all things wood. 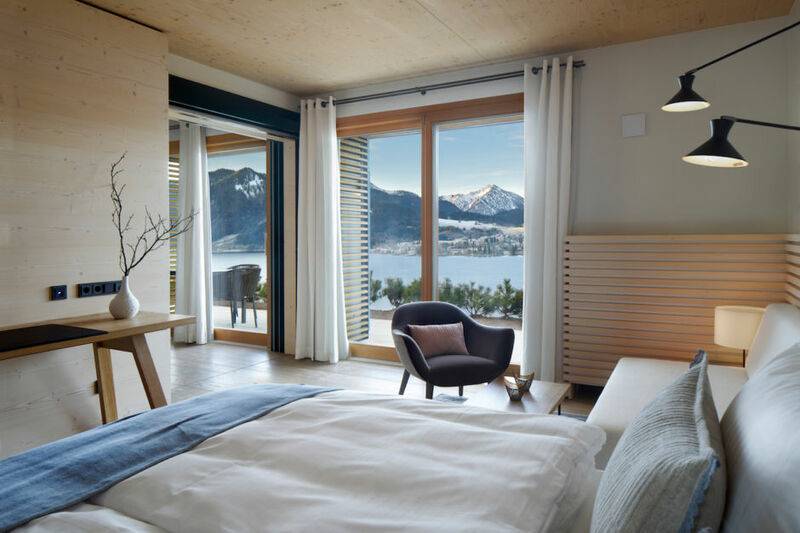 Then rest your bones in Lucerne’s Art Deco Hotel Montana, where the views are inside and out — your room may provide a view of the lake right beneath the peaks. 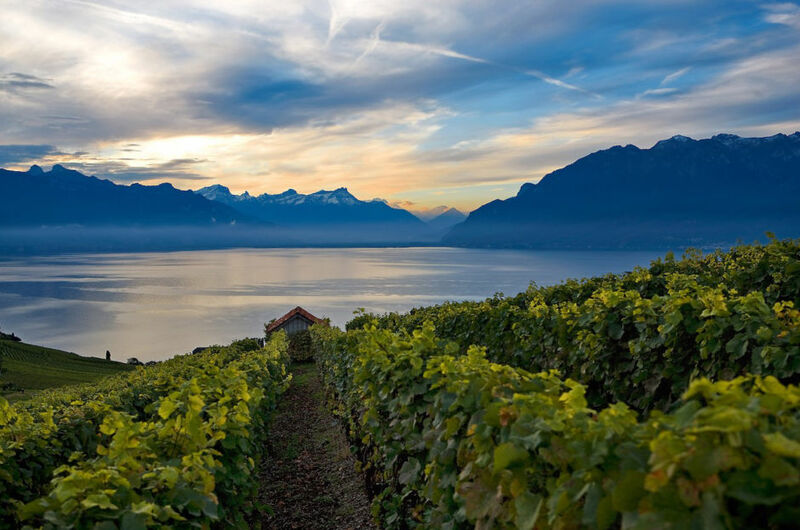 The last stop is Geneva, where a bike rental takes you through lush wine country, ending with samples from a tasty 1,000-year-old tradition. 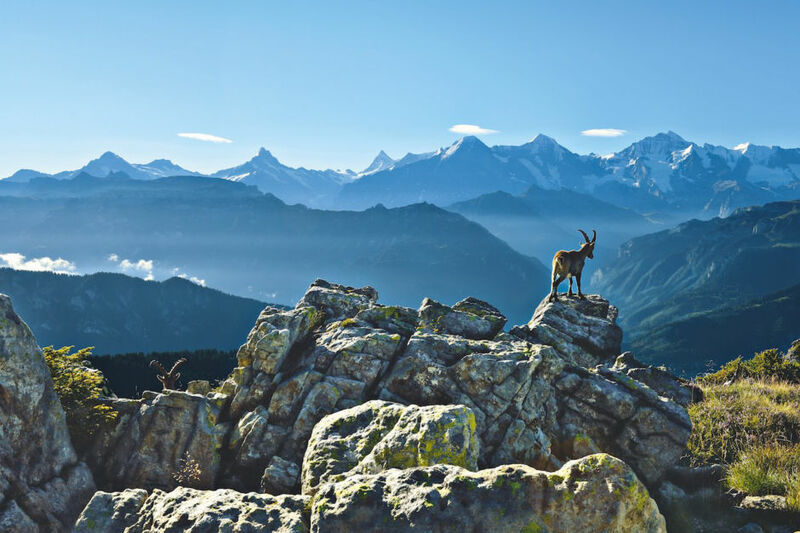 The most stunning spots in the Alps aren’t all well known. 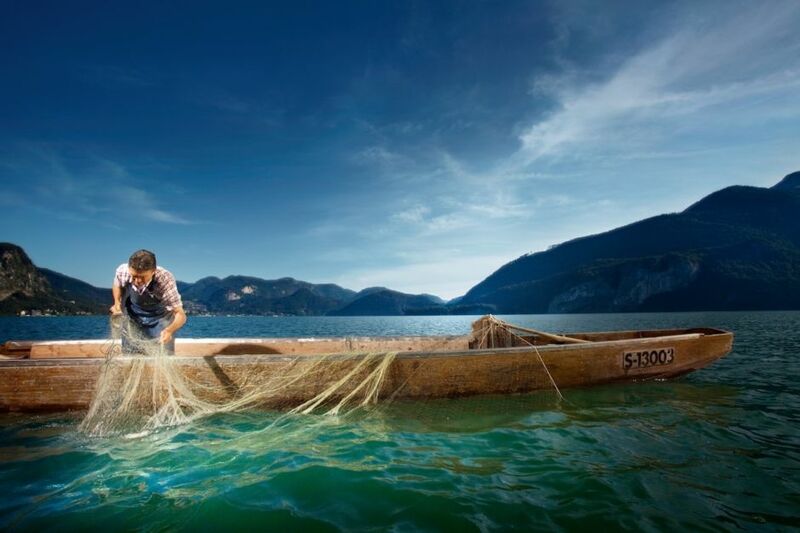 To get that #instaperfect shot, you’ll need to head off the beaten path. For starters, photos look better at 10,000 feet. 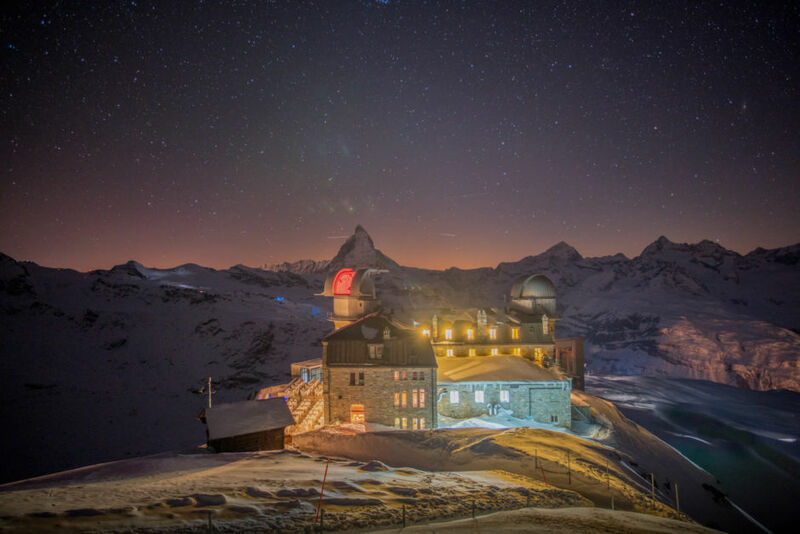 Zermatt’s 3100 Kulmhotel Gornergrat, a hotel-meets-library-meets-restaurant, complete with cozy fireplaces and views of the Matterhorn, is at elevation. 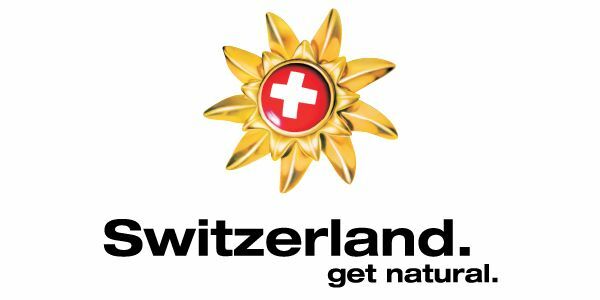 Then trade those urban views for ones of Swiss National Park, the oldest national park in the Alps, with a stop in St. Moritz. 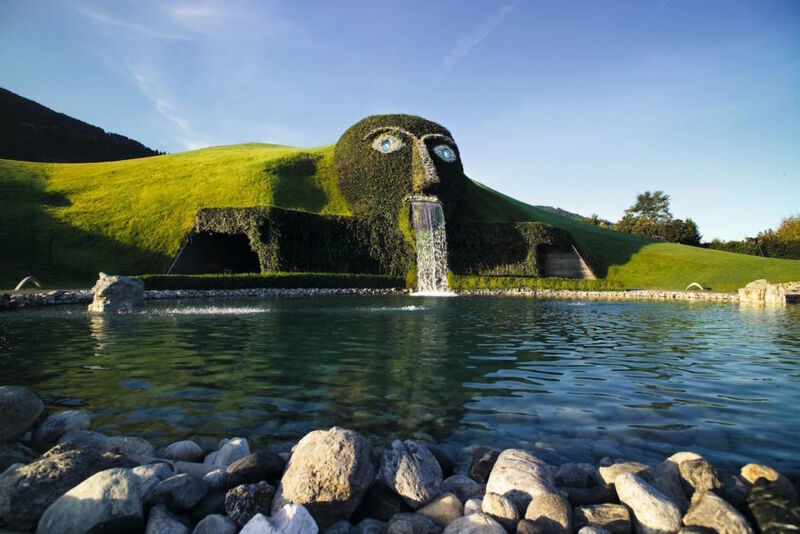 Mix up the landscapes with a move to Innsbruck’s land of diamonds: Swarovski’s Daniels Crystal Worlds will grab you from its exterior, and that’s before the gem hunting. 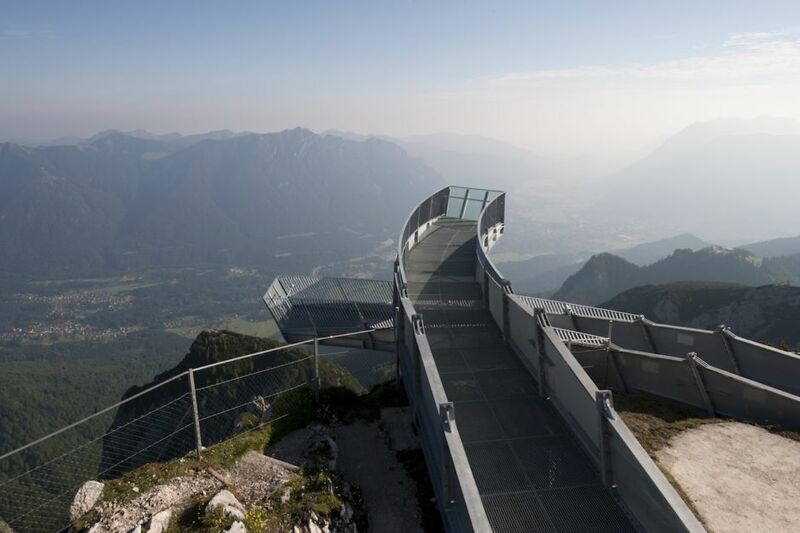 In Garmisch-Partenkirchen, beeline back to Mother Nature and to the AlpspiX viewing platform — this might be your most popular Instagram yet. 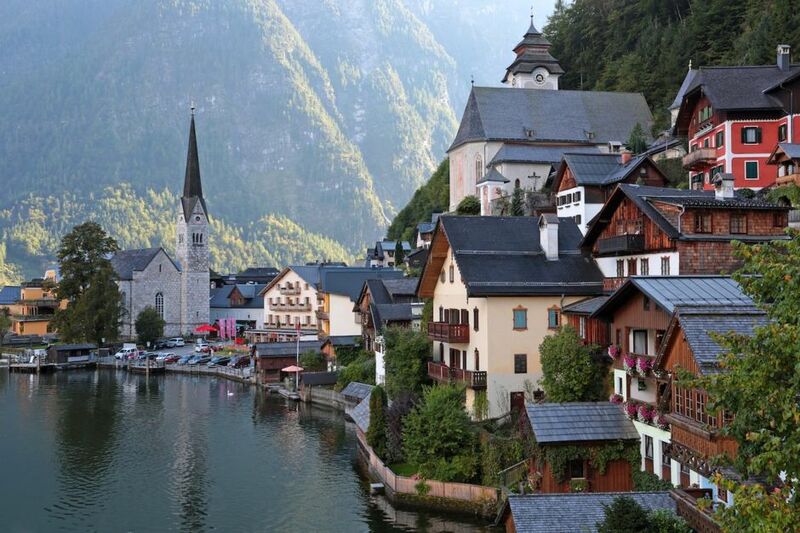 Then you’ll wind up in Hallstatt, a tiny 750-person hamlet straight out of any Alpine postcard. 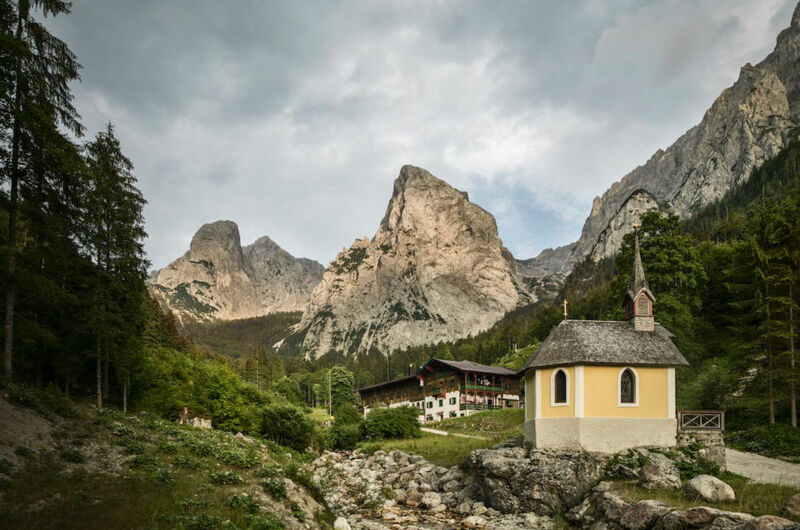 Head to the terrace of restaurant Bräu Gasthof for a classic photo of the village, its lake, and lone cathedral spire reigning above. 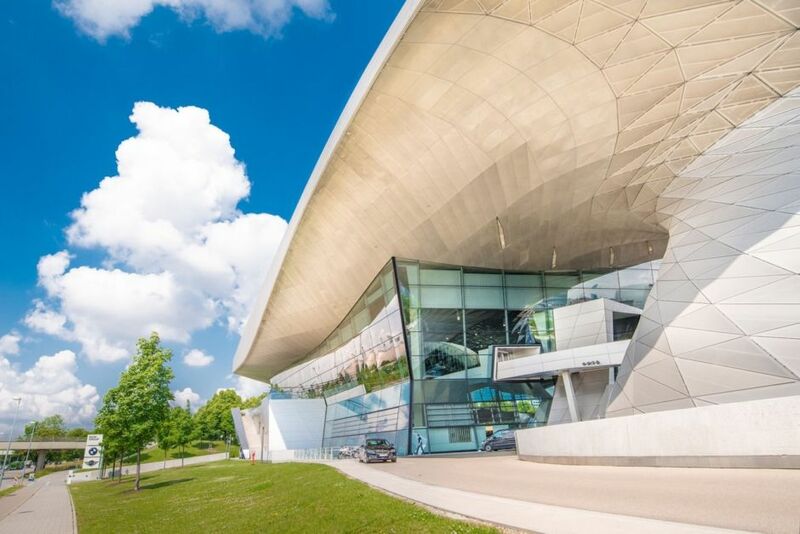 End your trip with a stop in bustling Munich, test driving your dream car at BMW World — you can take photos at 100 mph, right? 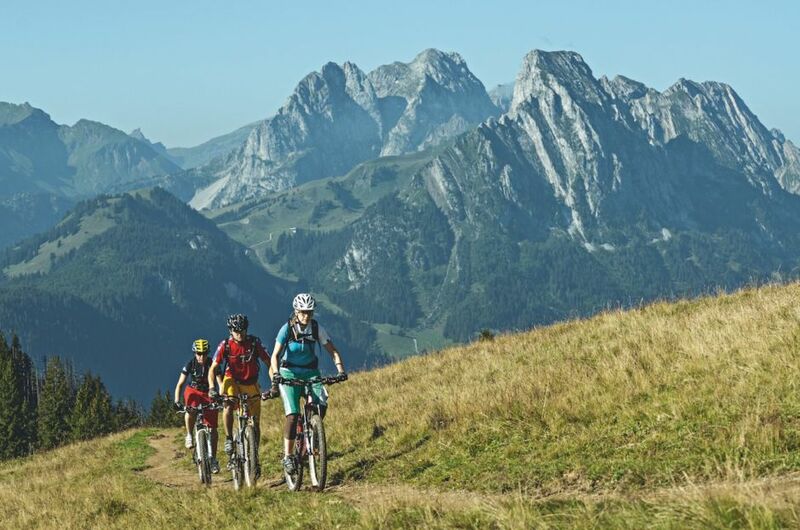 Whether you’re a white-knuckled thrill-seeker or a calm and mellow explorer, the Alps have you covered. 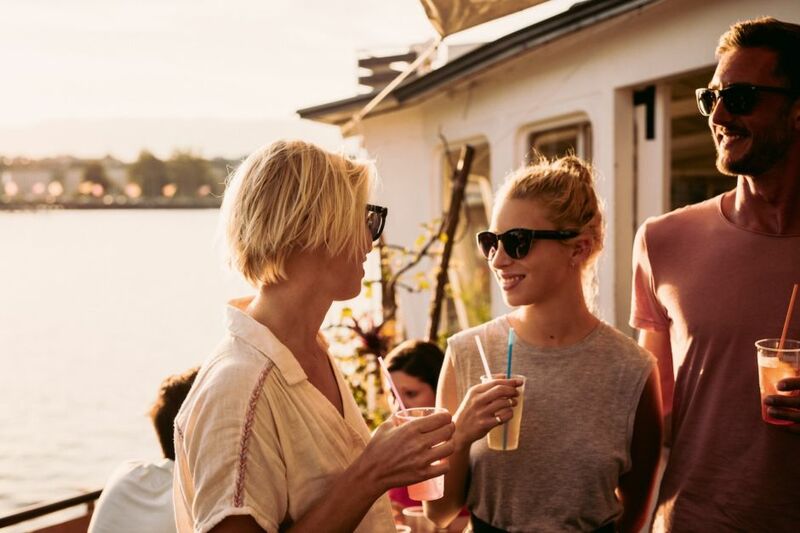 Zip down the Autobahn in a shiny Porsche, go whitewater rafting in the Tirolean Alps, or relax into a flight of rare gins at a rustic distillery. 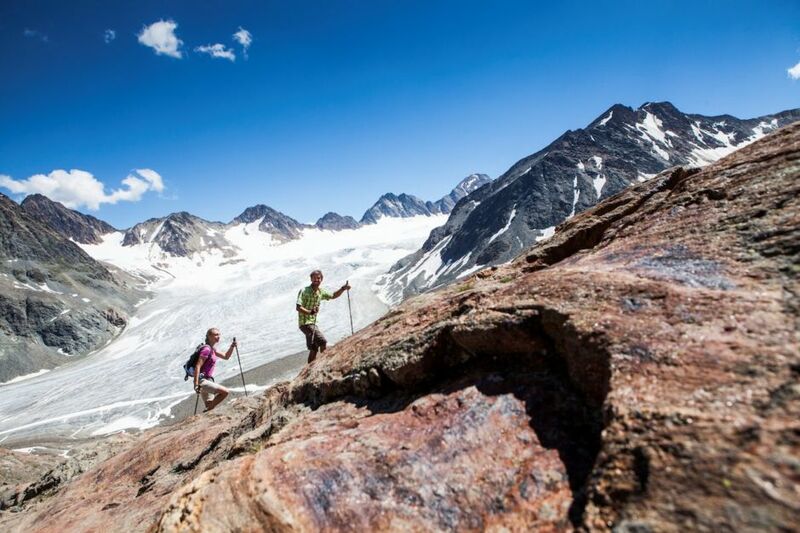 In the mountains, you set the pace. 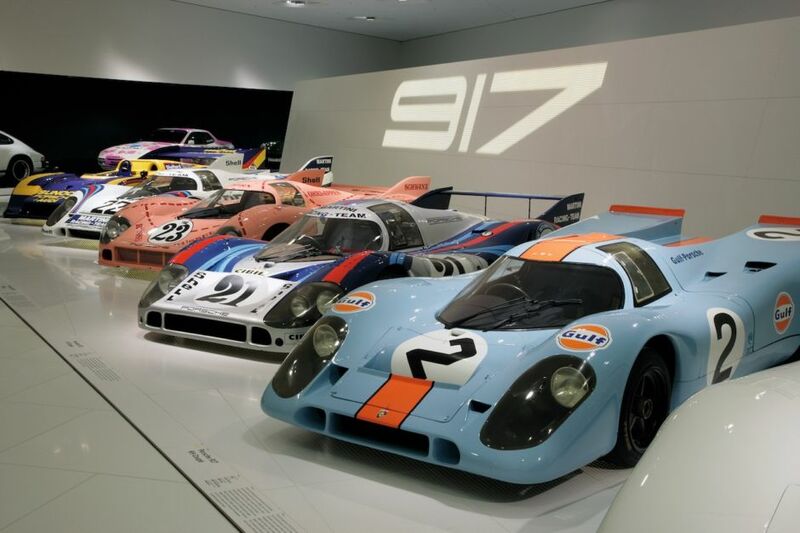 A stop in Stuttgart will put you behind the wheel of a Porsche, racing down the limitless Autobahn. 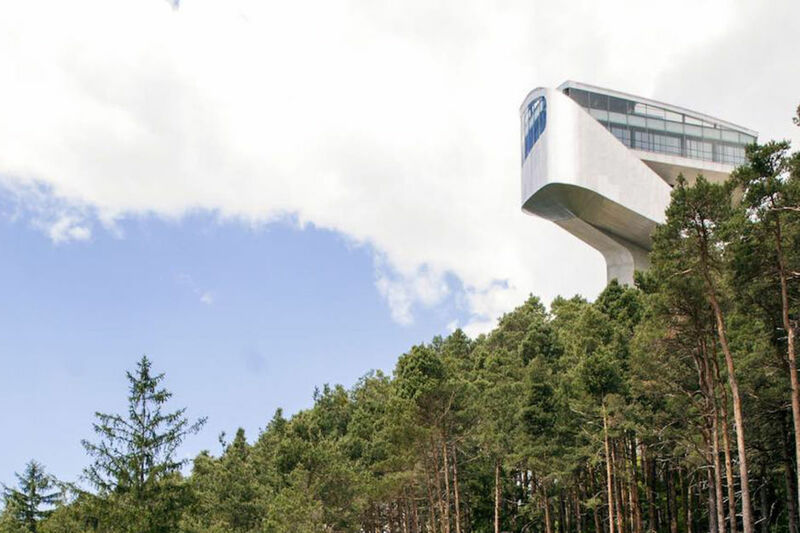 Go from high-speed on the ground to high-speed in the air three hours later in Schwarzwald, racing through the Black Forest with Hirschgrund Zipline. 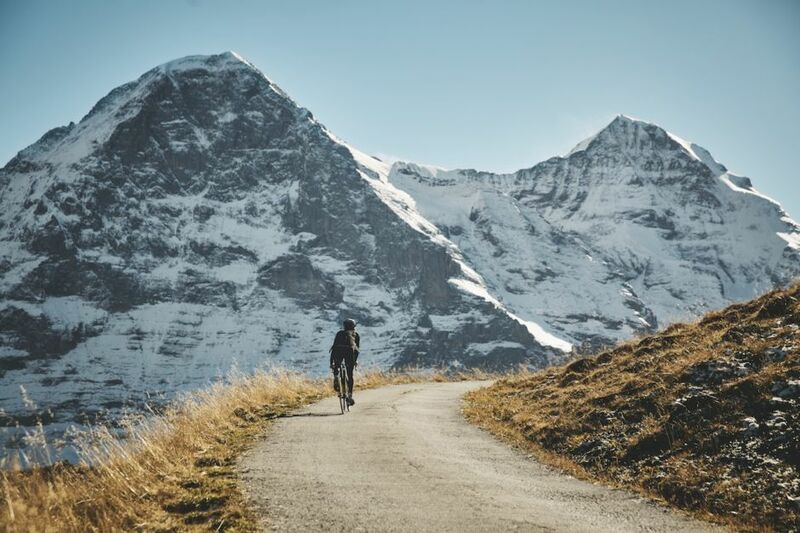 On the way from Gstaad to Lucerne, visit the Interlaken-Jungfrau Region (the “Outdoor Capital of Switzerland”) and hike to the Kleine Scheidegg for fantastic views of the famous mountain trio Eiger, Mönch, and Jungfrau. 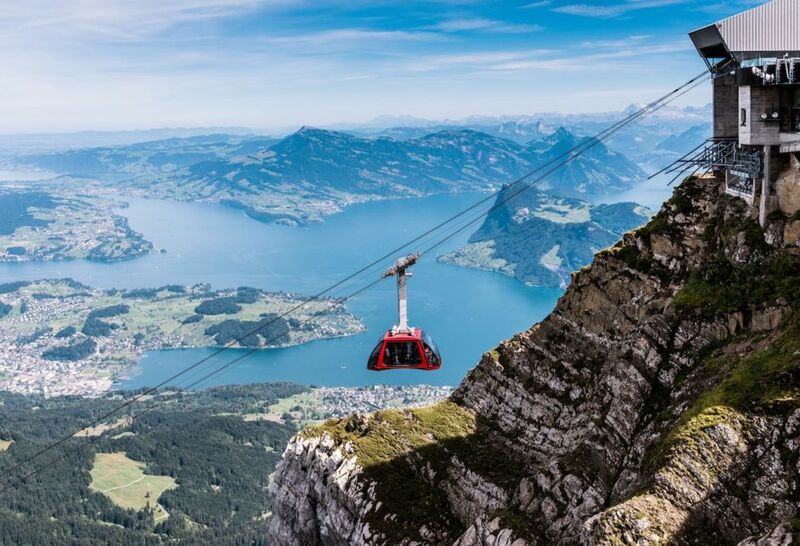 Mix it up back in Lucerne, hopping on the world’s steepest cog railway — a 48-percent gradient. 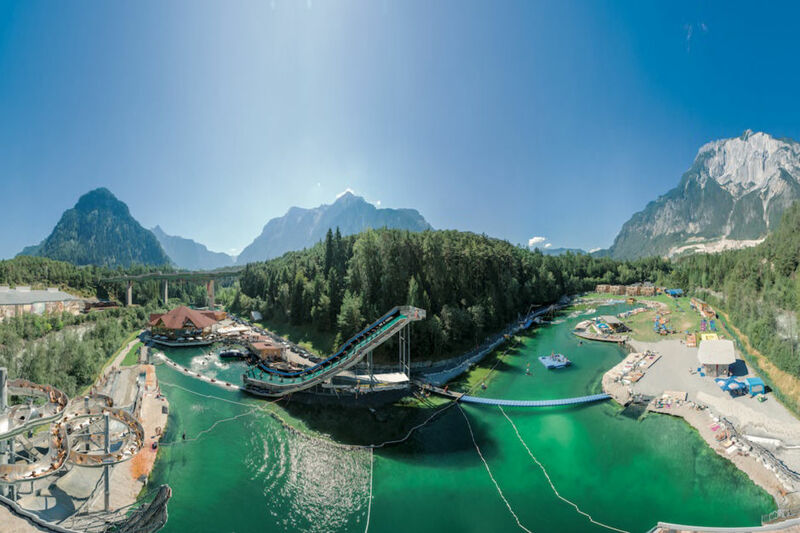 Keep the adrenaline going in Ötztal’s Area 47, a theme park where you can cliff dive, wakeboard, zipline, and more. 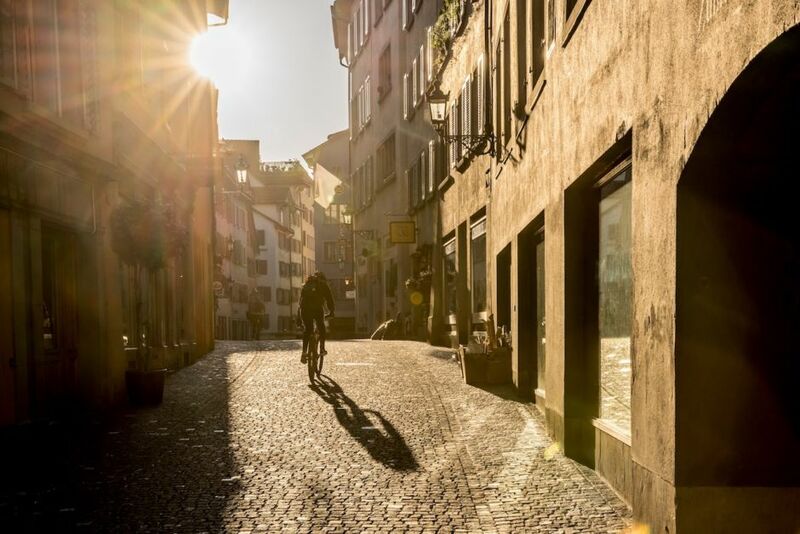 Innsbruck is your final destination, where you’ll shred through the imposing Karwendel range on a mountain bike — or just take in the Alpine views from…your bathroom. 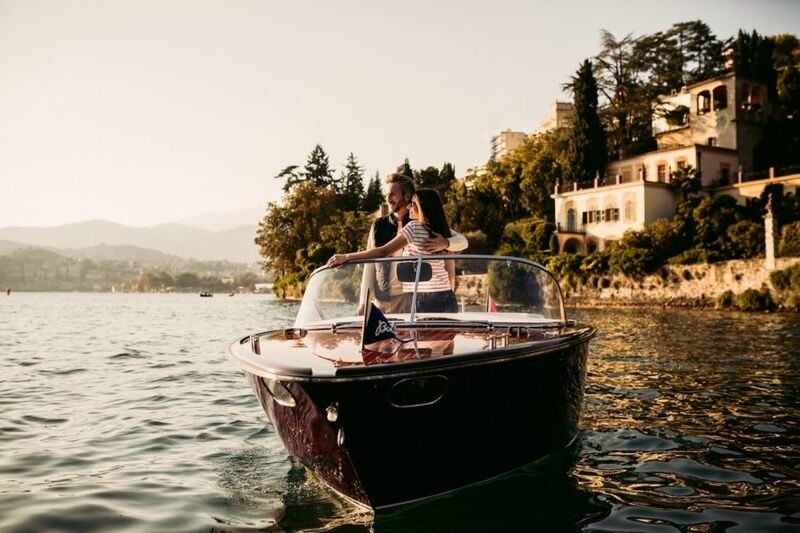 From lakeside in Lugano to the sky-high mountain air above Austria, Switzerland, and Germany, be sure to pack both your shades and your scarf. 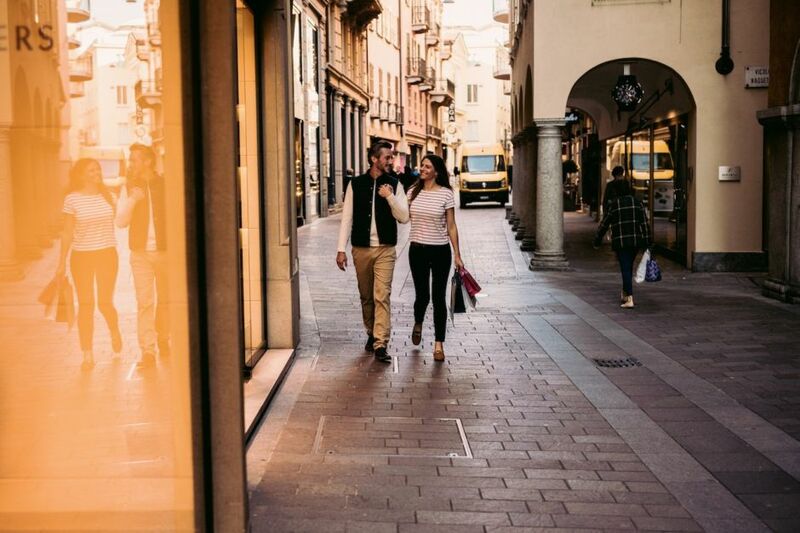 Lugano, a large summer holiday town, is the best of both worlds — a combination of Mediterranean urban flair and Alpine retreat. 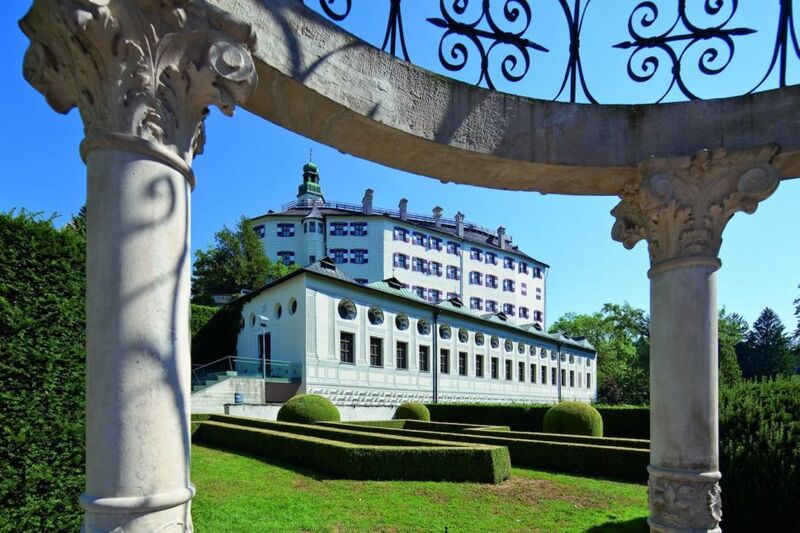 Sit lakeside at Restaurant Seven Lugano, and then inspire your nose on the two-mile Olive Tree Trail at Monte Arbostora, San Grato’s botanical park. 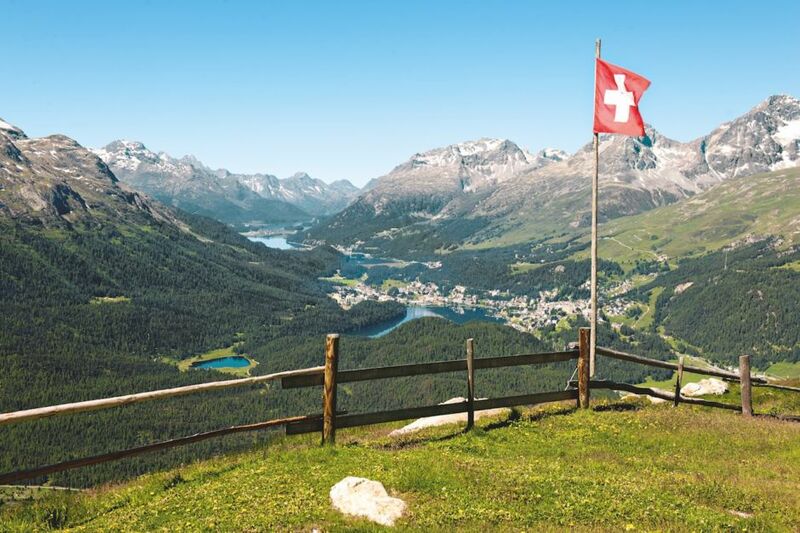 Bask in St. Moritz’ mineral springs after a long day hiking glacier territory. 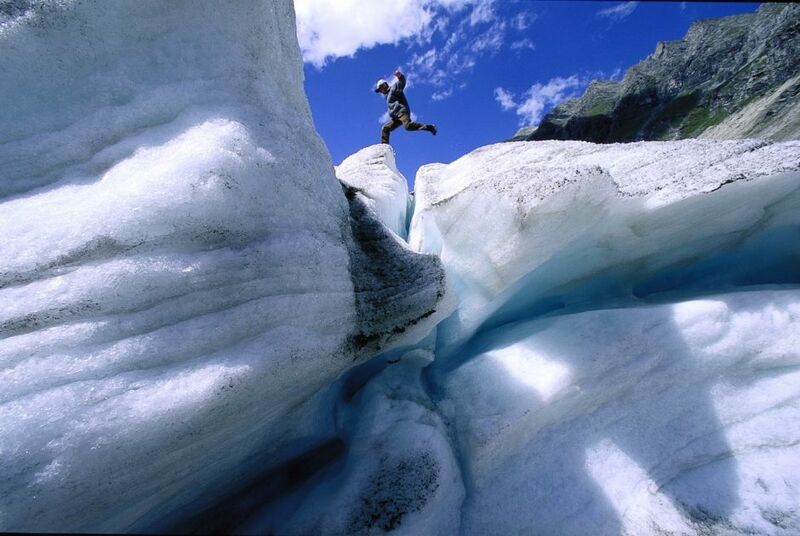 In Ötztal, raft the rivers, rock climb, or stand on the Wildspitze glacier to be on top of Tirol, near the Italian border. 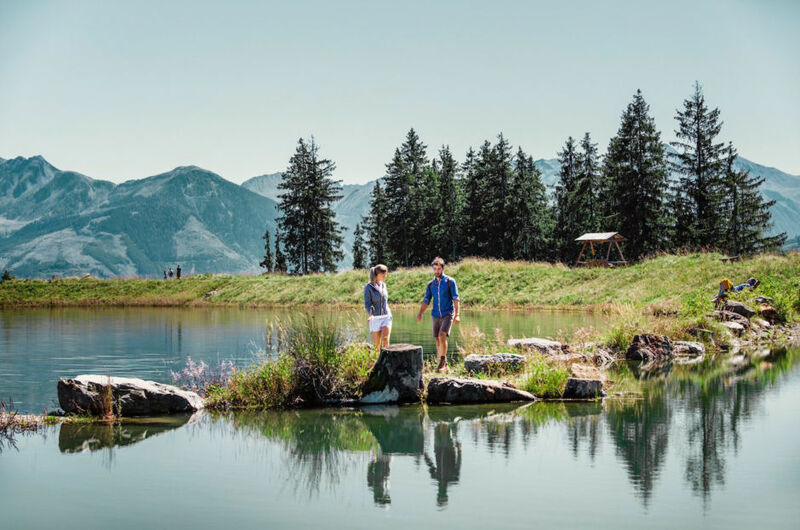 Climb up to the top of Zugspitze in Garmisch-Partenkirchen, or finish on a high note in the Alps’ largest nature reserve, National Park Hohe Tauern. 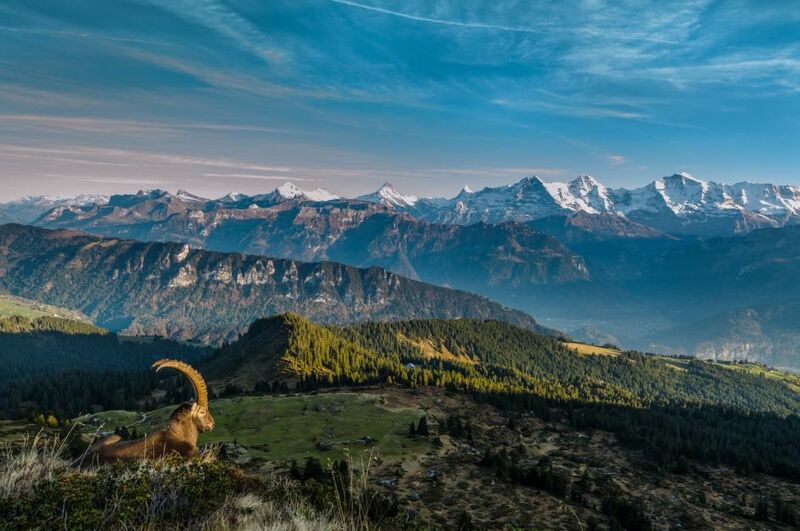 Here, eagles soar overhead, ibex deftly climb the peaks, and the views of Großglockner, Austria’s tallest mountain, don’t get any better. 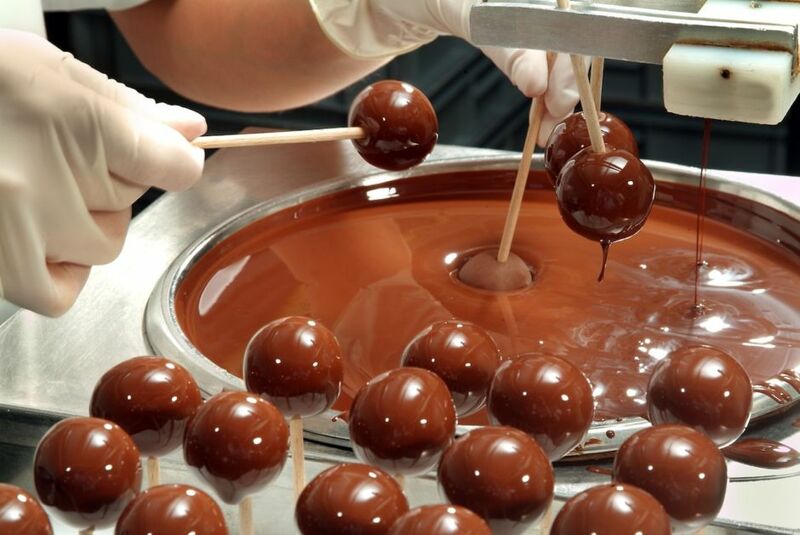 If you gotta do it all, don’t settle. Do it all. Start in Zermatt, staring up at the Matterhorn. 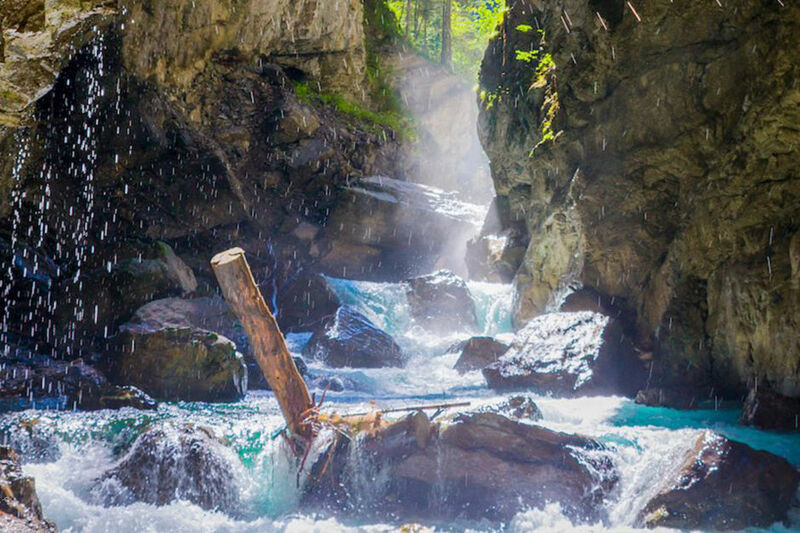 Wander the city’s romantic alleyways, and trek the Five Lakes Hike to Gorner Gorge’s towering cliffs. 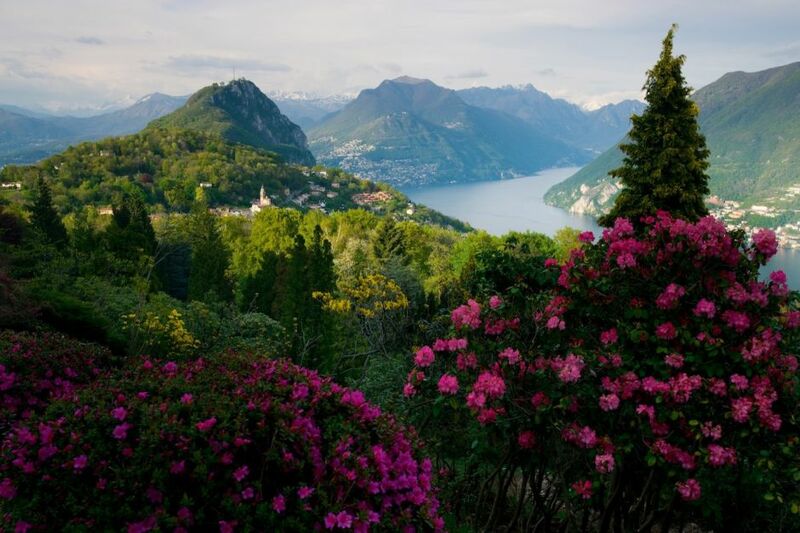 Spend a moment in luxury in Lugano, and take in those Alpine views without leaving the spa. 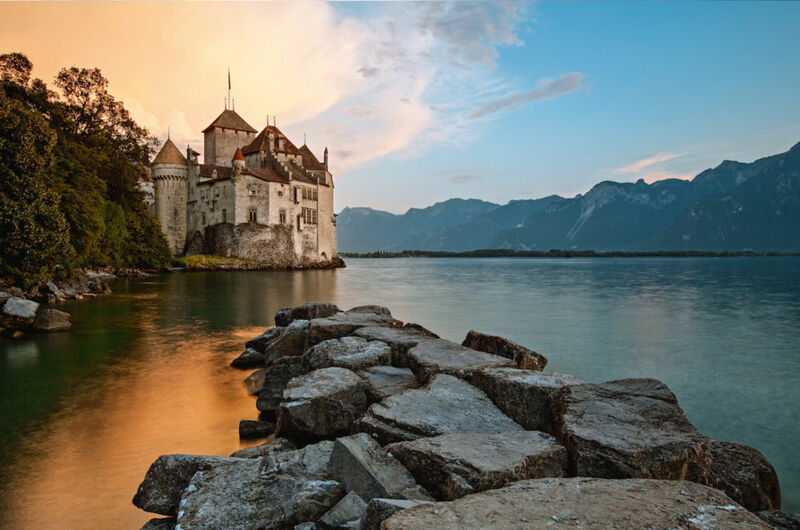 Hide between Lucerne’s medieval walls and towers, hopping in a boat to Flüelen and taking a scenic train to Bellinzona. 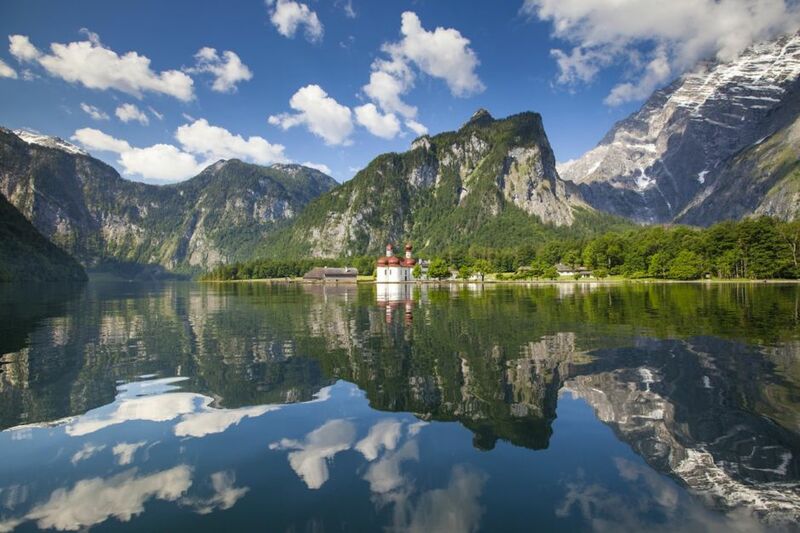 In Garmisch-Partenkirchen, hang with the birds on Germany’s tallest mountain, the Zugspitze, overlooking one of the oldest mountain chains in the world. 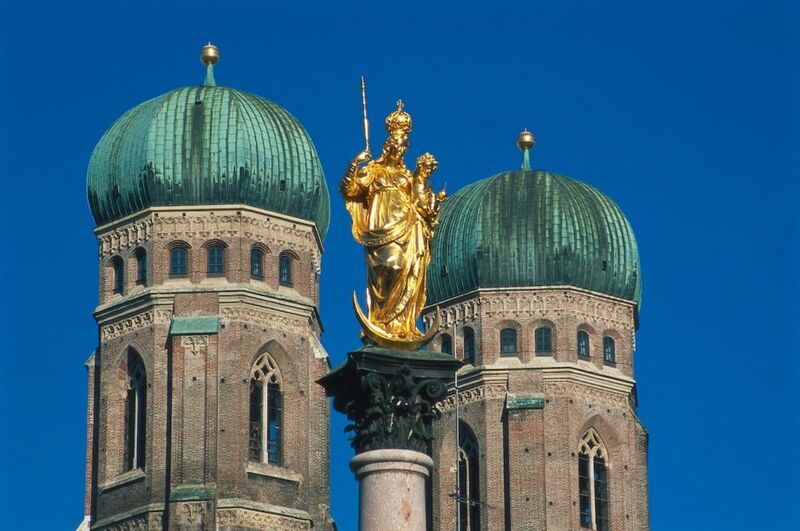 Then travel back to medieval times in Innsbruck, where Emperors reigned supreme at the Imperial Court. 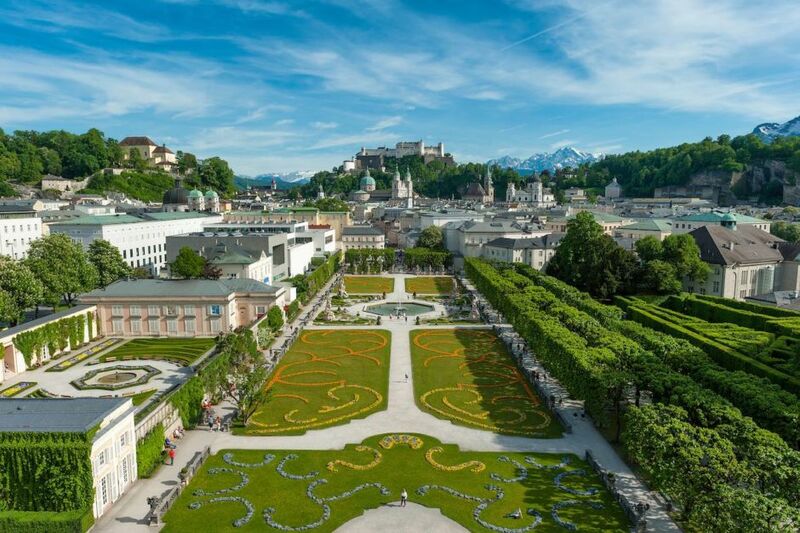 Follow Mozart’s steps to Salzburg, counting the spires spreading out above the river. 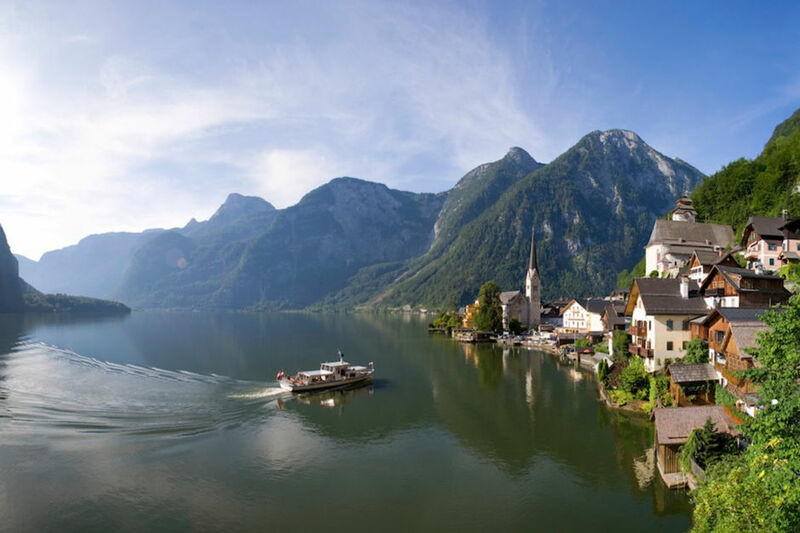 Find respite in Hallstatt, wandering between wood-gabled houses that convince you fairytales are real. 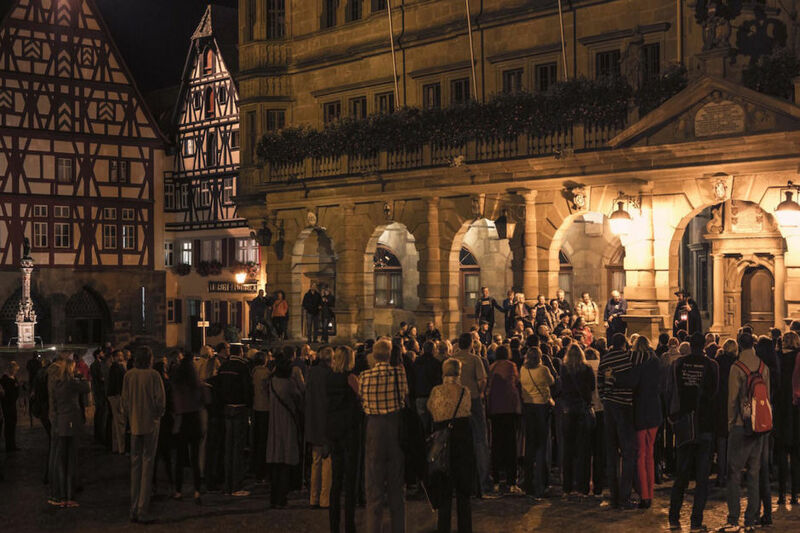 Toast to your trip at one of Munich’s famous beer gardens, and finish off by exploring 1,000 years of chaos, mayhem, and history at the Medieval Crime Museum in Rothenburg. There’s no pop music, pumpkin spice lattes, or long lines here. 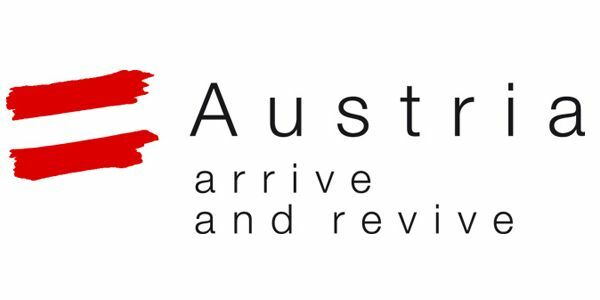 If you’re more the B-side-of-the-record kind of traveler, look no further. 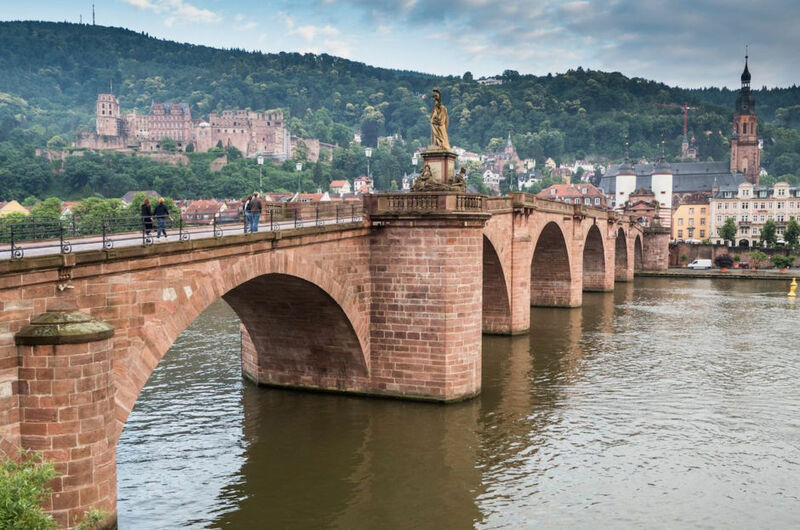 Heidelberg’s practically preserved in amber — its castle, Old Bridge, and medieval old town have provided artists with inspiration for centuries. 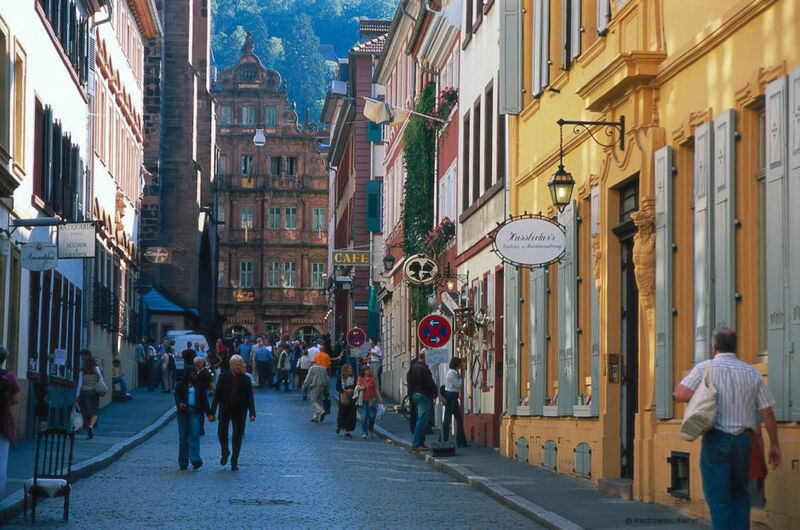 Walk along the Philosophenweg, and you’ll feel it. 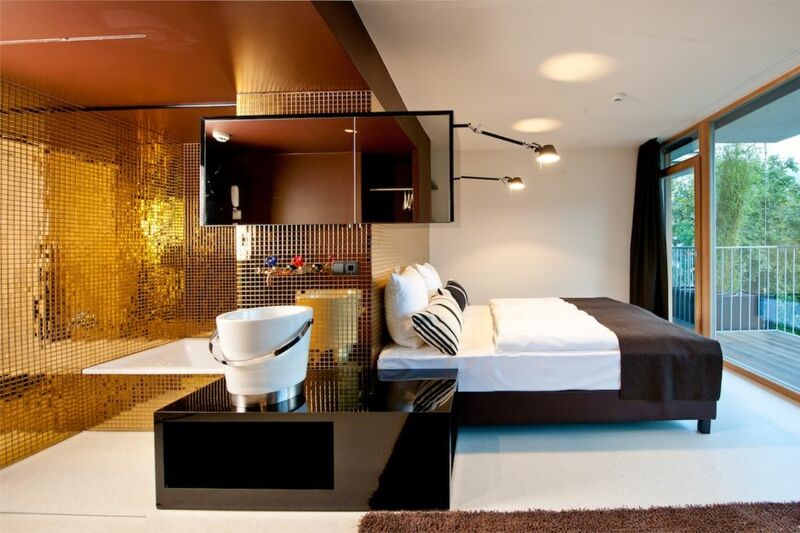 Balance it out with a trip to Stuttgart’s Cube Restaurant, trading city walls for urban modernism. 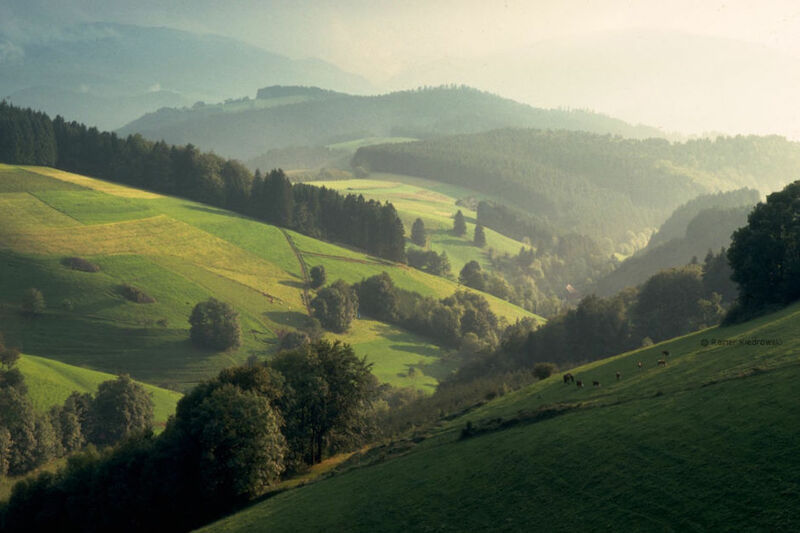 The rest is up to you: Meditate in Baden’s verdant woods. 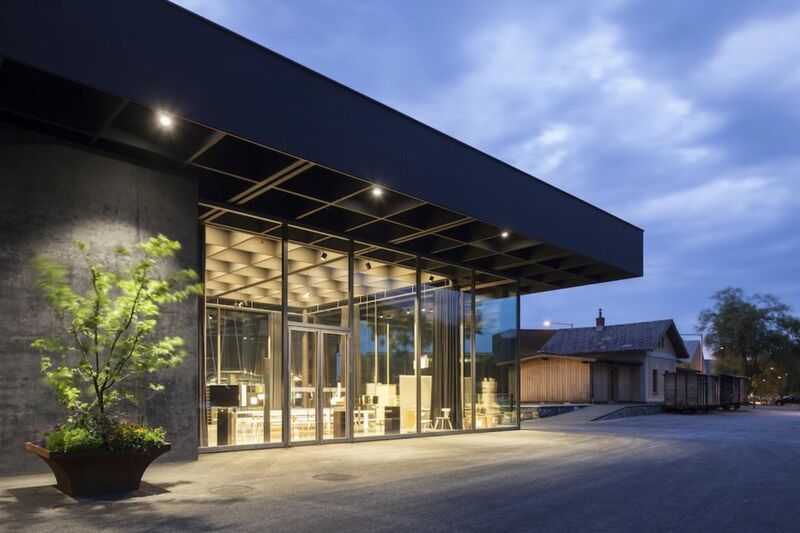 Tour one of the best gin distilleries in the world. 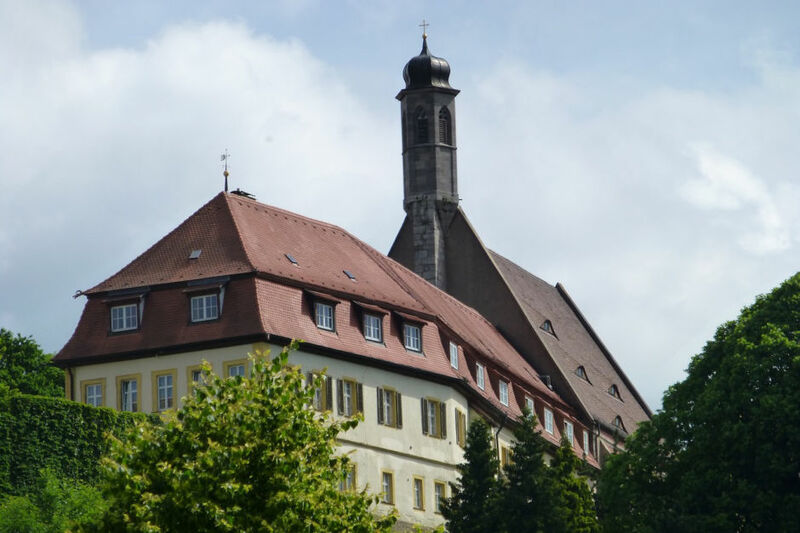 Hide away in Fribourg’s old town Colombi Hotel. 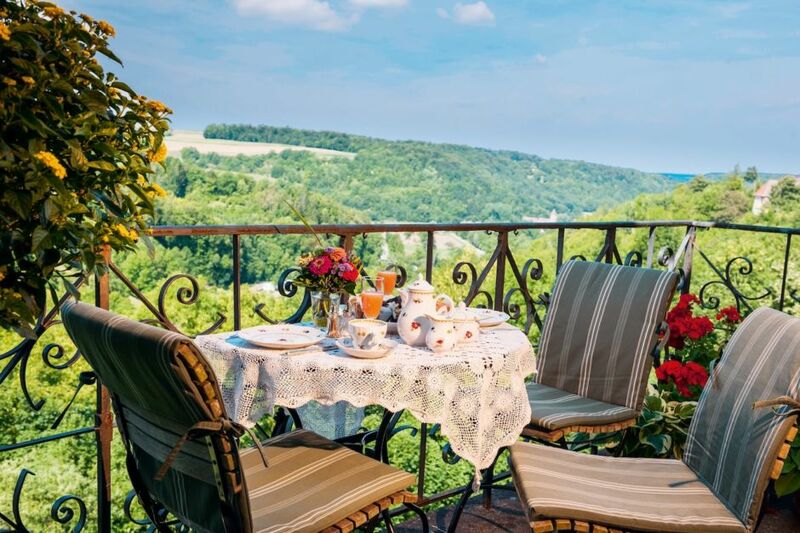 Hike the Gourmet Trail, taking in the view between bites. 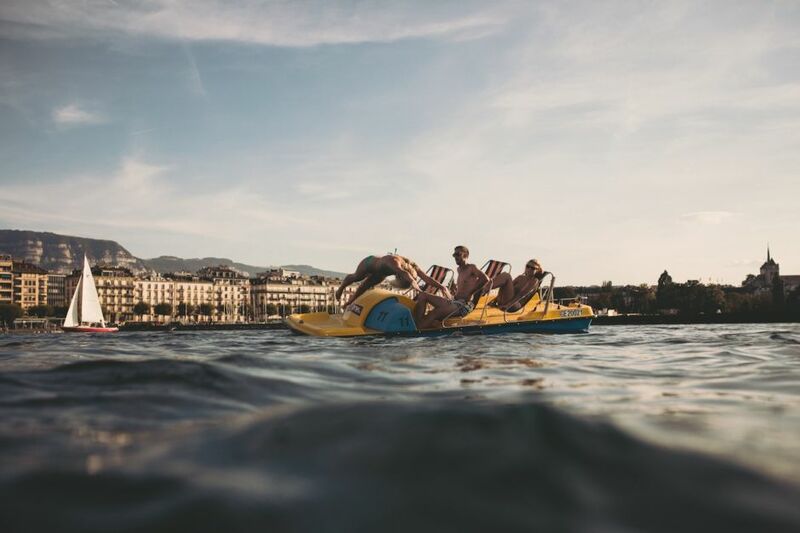 Get bluesy at the Montreux Jazz Festival. 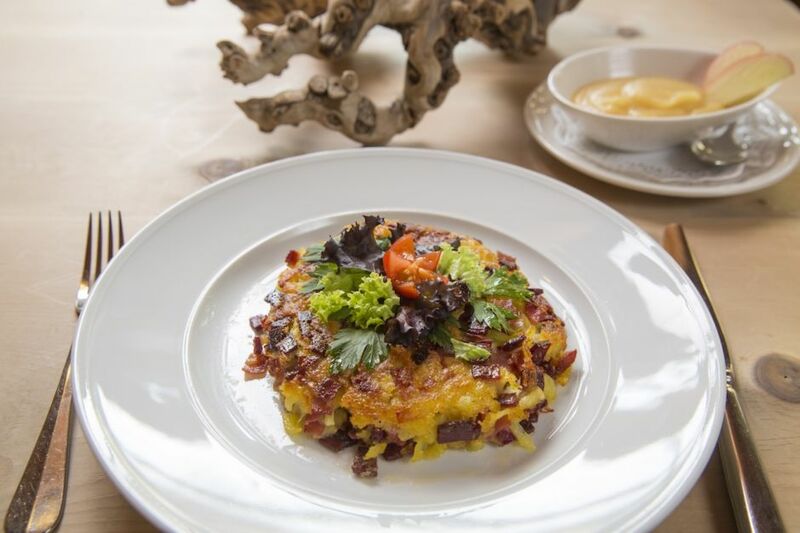 Go full-on couture at Gstaad’s famous “shopping mile.” Get your hands dirty at one of the artisan-run workshops in Bregenzerwald’s 12 villages and reward yourself with Käseknöpfle (an Alpine mac n’ cheese). 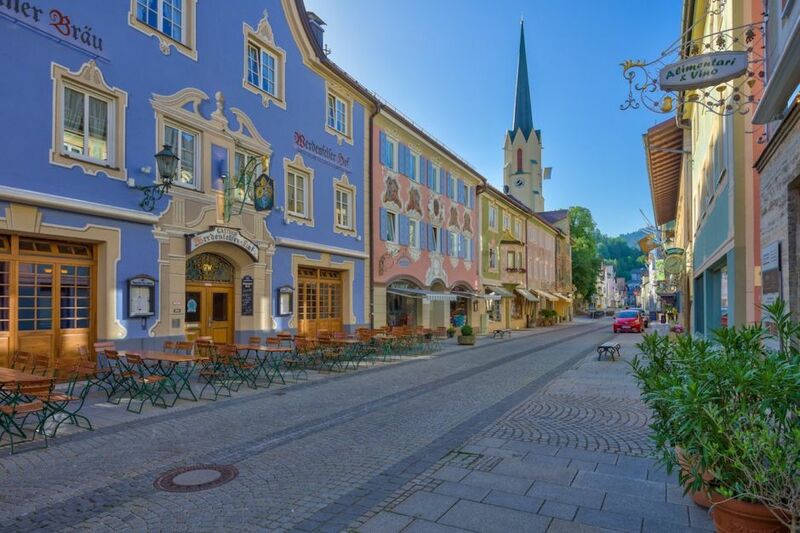 Head to medieval Kufstein to wash it down with the regional drink, pear Schnaps. 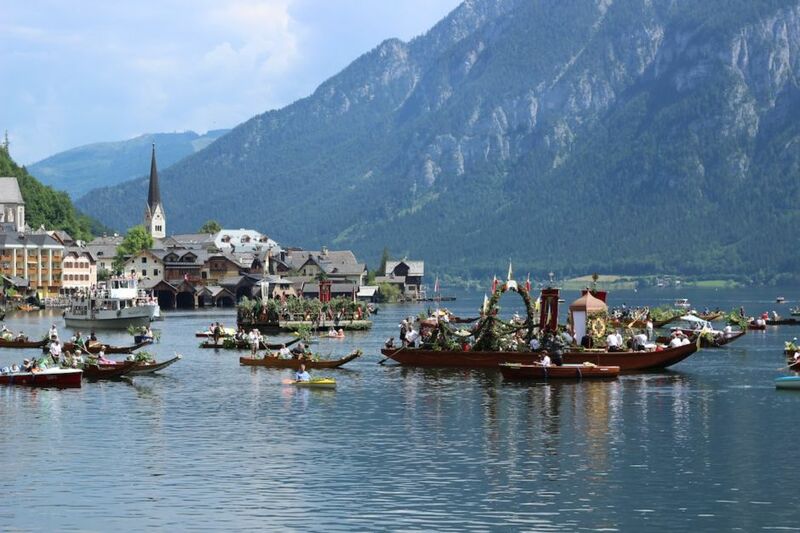 Top it all off in Zell am See with a stroll along a glacial lake, a repurposed castle, and plenty of people-watching. Choose one, or choose them all. 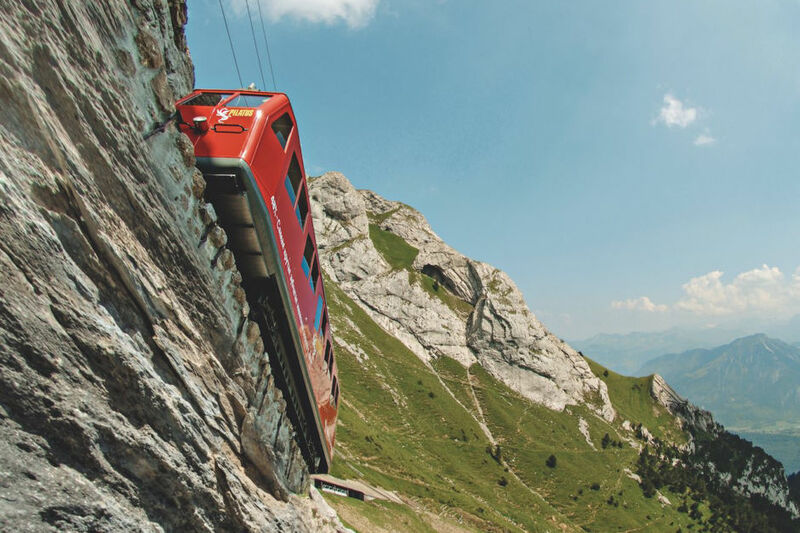 There’s no wrong way to do the Alps.